Learning a great deal about the world is not and should not be confined in the four corners of the classroom, the study hall, or the library. Nor is it or should it be confined to textbooks, photos, videos, websites, documentaries, and other media. In fact, most of what we truly learn comes from our experiences and interaction with the real world. We have a vastly better understanding of the concepts we encounter in textbooks, teacher’s lectures, educational TV shows, and other media if we have a glimpse of or if we experience the real thing. Furthermore, it is enormously more fun to actually see, feel, smell, and truly experience something than just having to see read or hear about it. And we all know that if something is fun, you are more interested to learn. 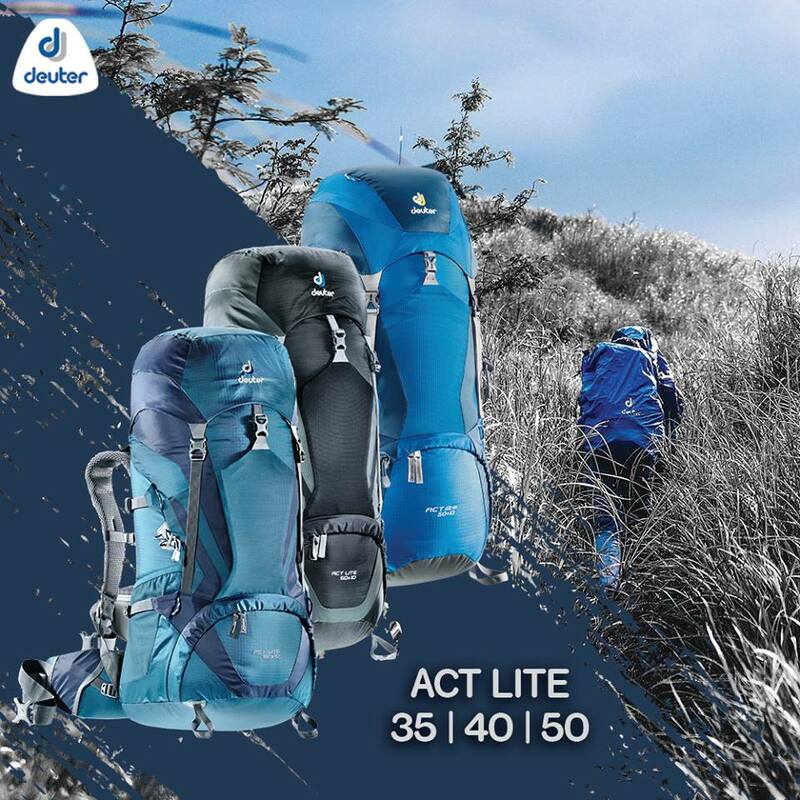 We call this no-nonsense concept “practical learning.” We find this teaching methodology very effective in both introducing Alexa, Sweetie’s daughter, into the world of outdoor adventure and enhancing her learning in school. 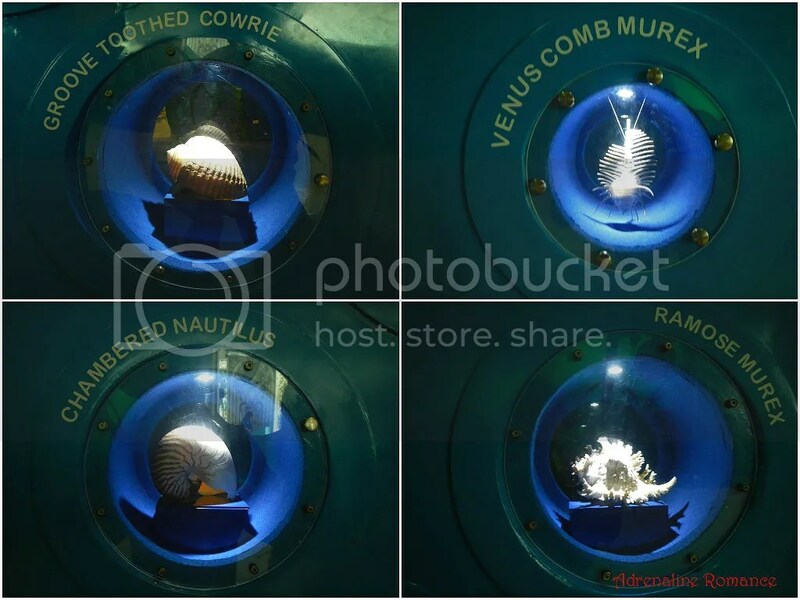 Thus, during her birthday last October 2013, we decided to give her a unique gift that she can both enjoy and learn something from—a weekend trip to the interactive Museo Pambata and the amazing Manila Ocean Park. 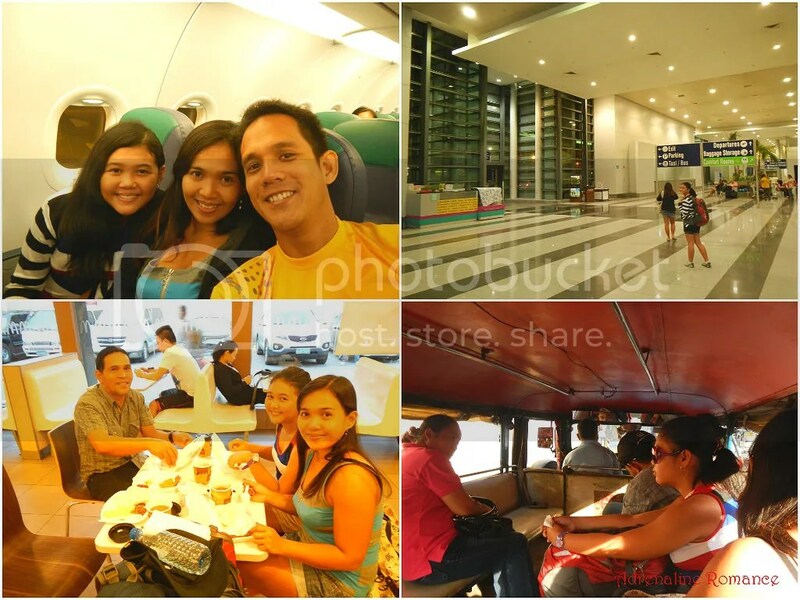 To make most of our first day, we took a red eye flight to Manila and arrived at the Philippines’ capital city around 4:30 AM. Sweetie had already arranged for our guide, her uncle Tito Niel, to pick us up at 6 AM and show us around. Tito Niel promptly arrived, and after we had breakfast at a nearby McDonalds, we boarded a series of jeepneys and headed to Roxas Boulevard. 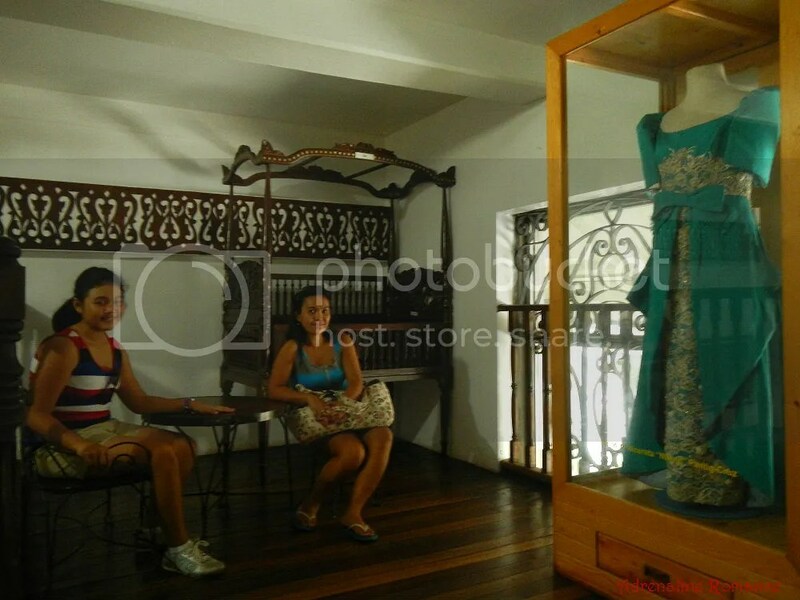 After half an hour or so of commuting, we finally arrived at Museo Pambata in Roxas Boulevard. Museo Pambata’s façade is pretty cool; just imagine a classic Spanish-architecture inspired building in the midst of an ultramodern community. 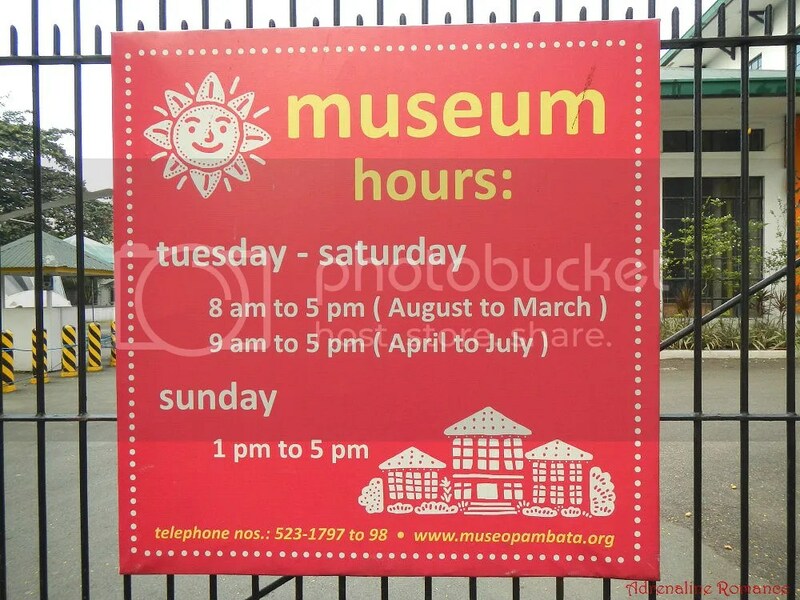 Large, colorful banners outside entice children to visit the museum to play, discover, explore, and learn. By the time we got there, there were plenty of kids waiting at the gate for the museum to open. We arrived there 30 minutes early, so we got some time to check out the colorful playground at the front of the museum. 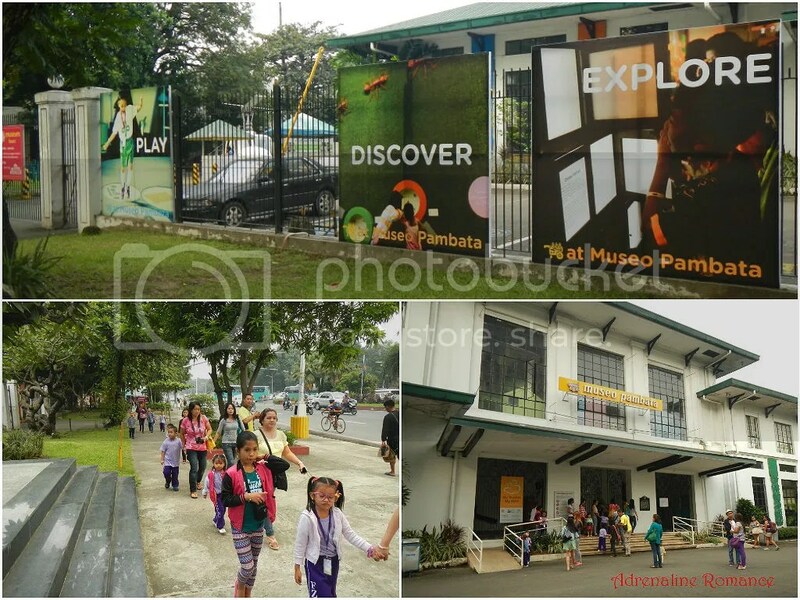 Museo Pambata is not just a place for learning but also a place for children to exercise and have fun. 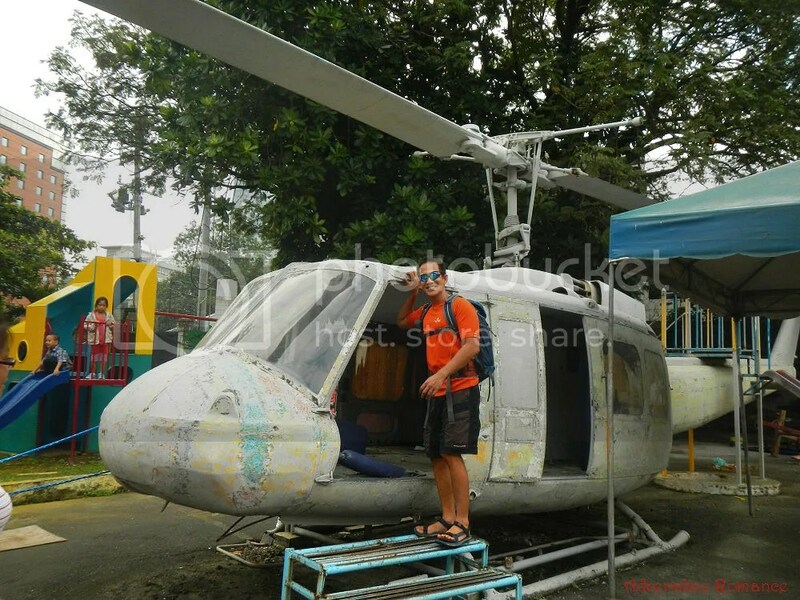 The highlight of the museum’s playground is this shell of a Bell UH-1 Iroquois helicopter, nicknamed Huey, the iconic chopper of the Vietnam War. We’ve never been inside a Huey before, and we’ve only seen them in action movies such as the Rambo series. It was our chance to experience what it is like to be inside a helicopter even if it was only a shell. The interior was actually bigger than we imagined. After paying the registration fee, we went inside the museum. The first thing we saw was this nice model of a Spanish-era house. 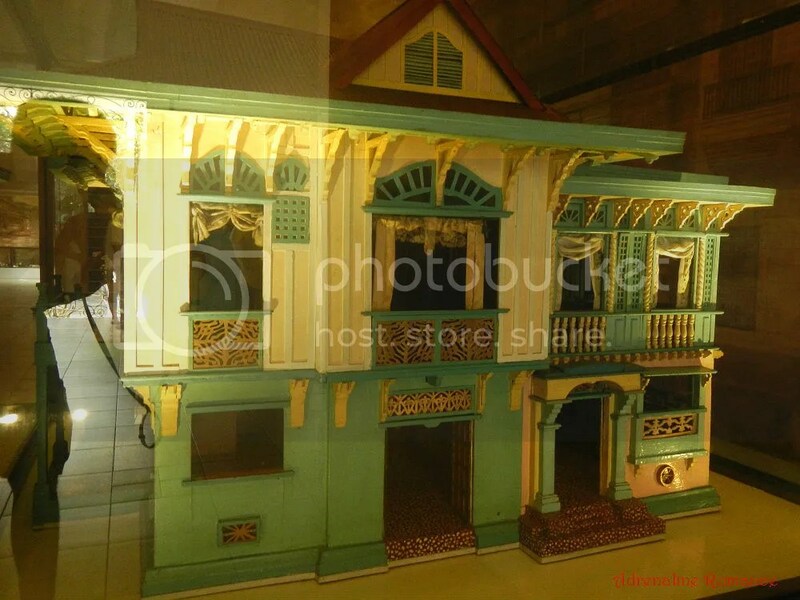 This is a scale model of the Leoncio House, a classic middle-class residence in the 1930s. 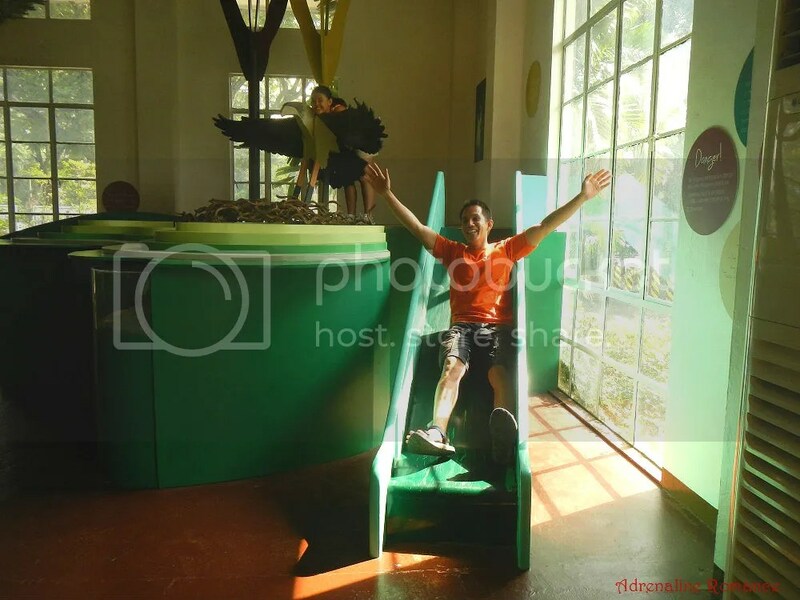 Since the model is placed at the center of the museum’s main hallway and that it bears a resemblance to the architecture of the building, then the present Museo Pambata building must be either a building inspired by the Lencio house or the result of countless renovations of the Leoncio House. The building was the office of the Manila Elks Club, an American-only club that established itself in the Philippines in the early 1900s. 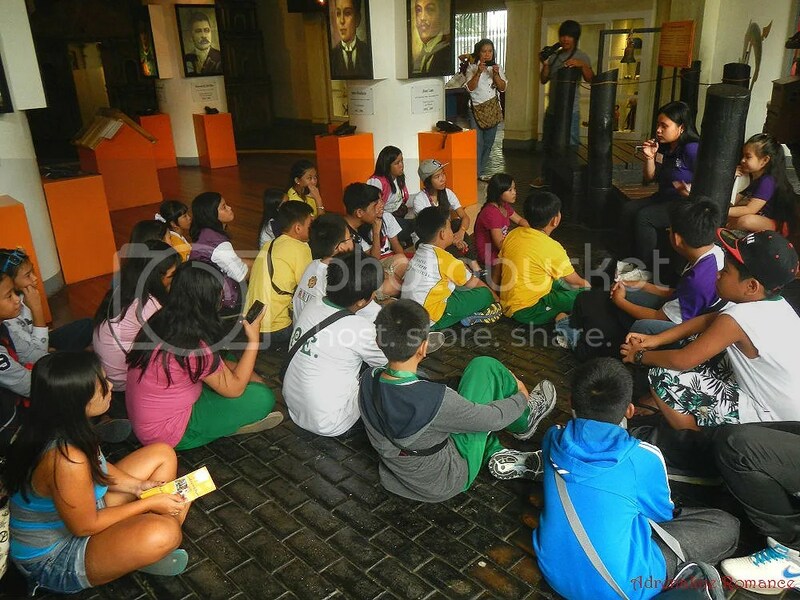 Museum staff briefed the children on the history and rules of the museum. There’s one who isn’t a child there. Hehehe! The museum is divided into sectors called exhibits. 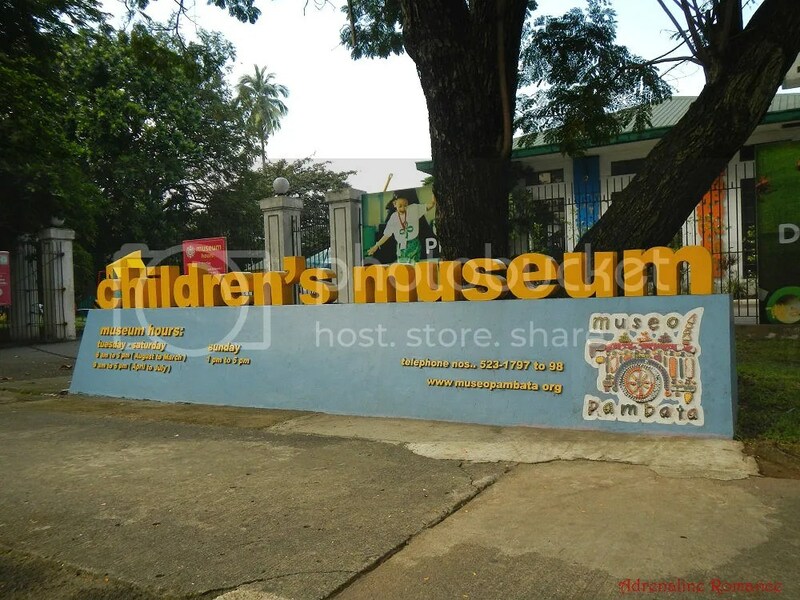 Now, unlike ordinary museums wherein exhibited items are only for display, Museo Pambata features hand-on exhibits that children can see, touch, hear, and experience. 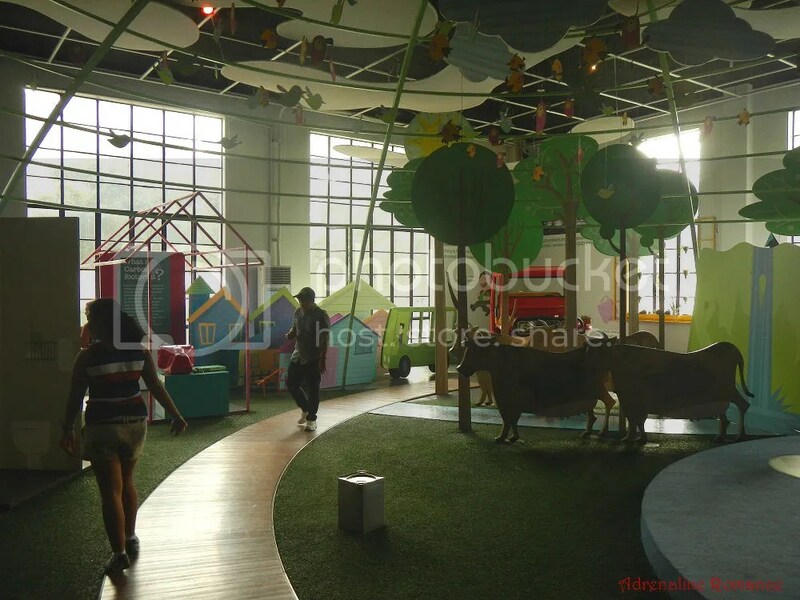 It’s truly an interactive museum, one that also functions as a playground, art center, and library. It makes learning, exploration, and discovery more fun. 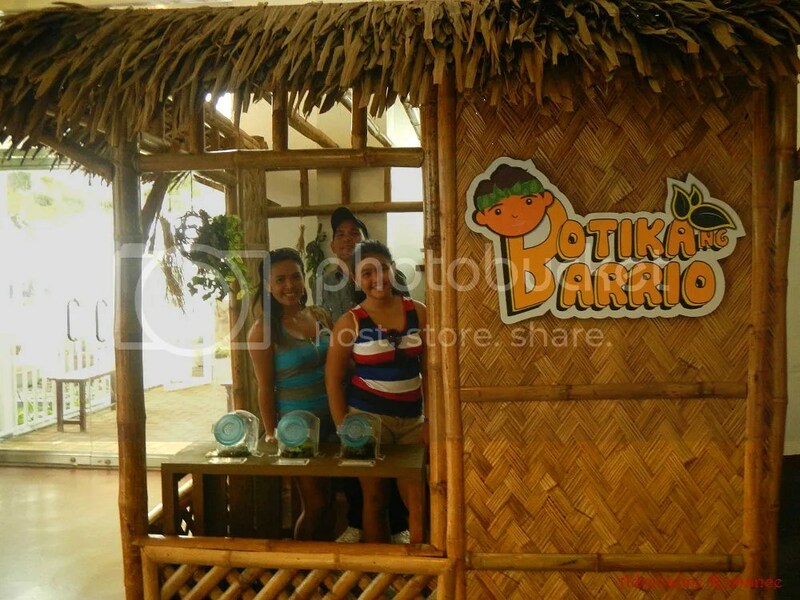 First, we went to the Kalikasan exhibit, a simulated coastal area and rainforest. The exhibit aims to showcase the beauty of Mother Nature, inspiring children to take action to protect her. The coastal area was our first stop; upon entering, it seemed like we were actually underwater. There were huge sculptures of jellyfish, kelps, dolphins, and other sea creatures. 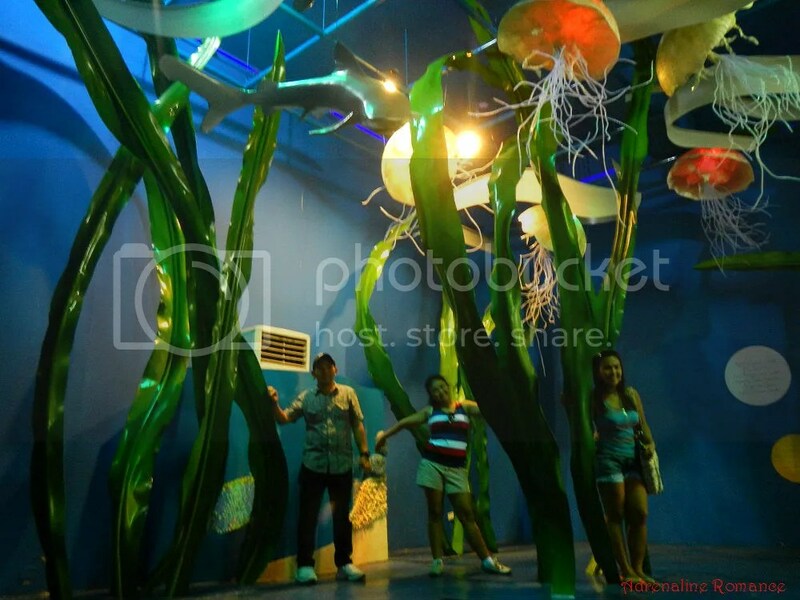 The exhibit also features coastal and mangrove areas. 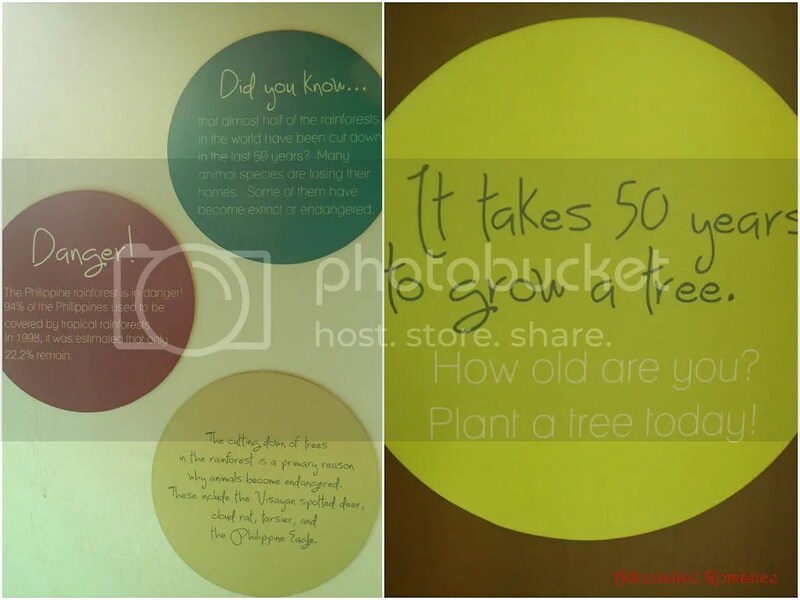 On the walls are numerous boards that explain facts about mangroves and the importance of maintaining them. We also found some fun masks lying around, so Alexa and I tried to mimic the cruel Davy Jones. Hehehe! Shells and marine mollusks are the jewels of the sea. I used to have quite an impressive shell collection when I was a teenager. Seeing these shells made me miss my collection. 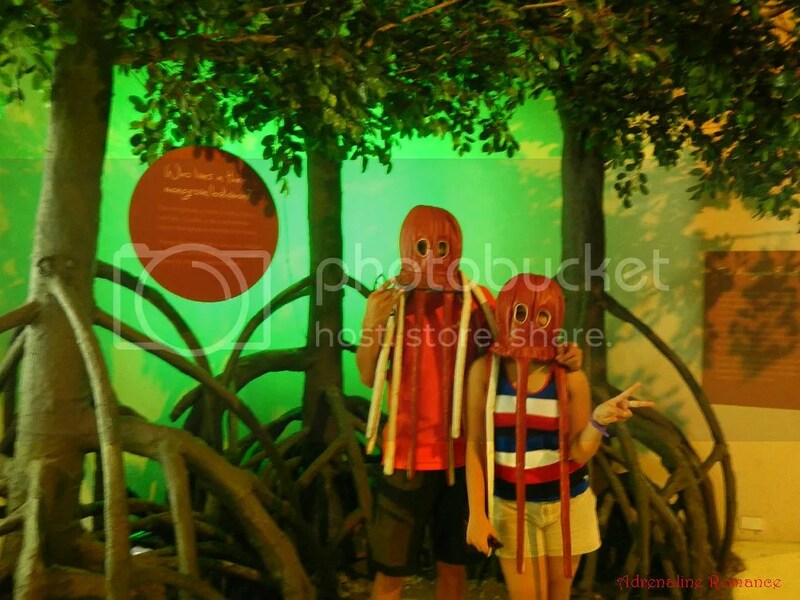 Next, we went to the rainforest section of the Kalikasan exhibit. Well, only part of the exhibit actually involves anything about the rainforest. Most of the items in this section are simply cutouts of trees, a few plant specimens in jars, and wall signs that describe the destruction of the country’s lush and valuable rainforests. However, there is a nice corner here that displays a detailed cutout of the majestic Philippine eagle, our national bird. The Philippine Eagle, by the way, is a critically endangered specie due to the massive loss of its home, our rainforests. This is pretty cool too as there’s a neat slide that children can play on. 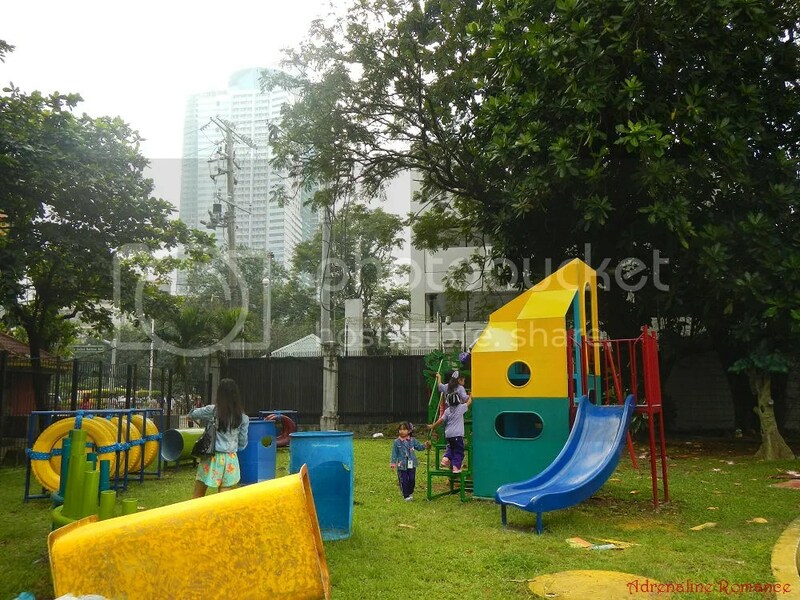 There are areas that provide fun and interactive activities for children. 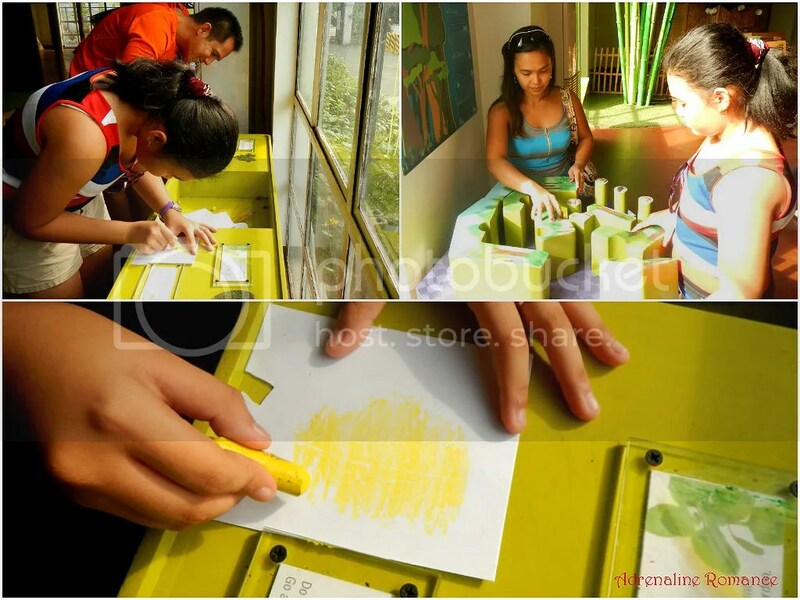 For instance, this particular area enables kids to etch images of leaves using fixed stencils. Plenty of crayons and small sheets of paper are provided by the museum. Sweetie and Alexa also played with large puzzle pieces. 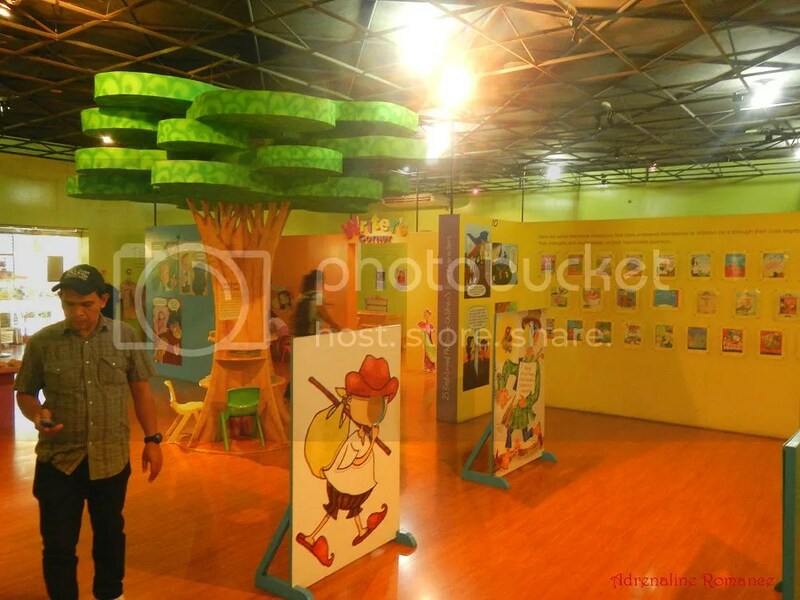 A large section of this exhibit is devoted to display the typical life in the mountains, faraway provinces, and rural areas in the Philippines. 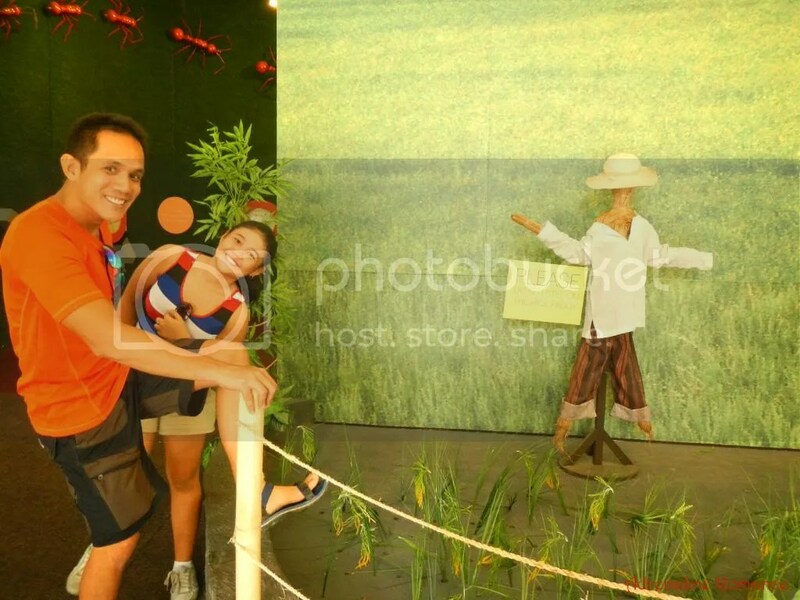 The museum even has a nice simulated rice paddy, complete with text that explains how farming in the Philippines is done. “Bahay kubo/kahit munti/ang halaman doon/ay sari sari . . .” so goes the famous Filipino folk song. 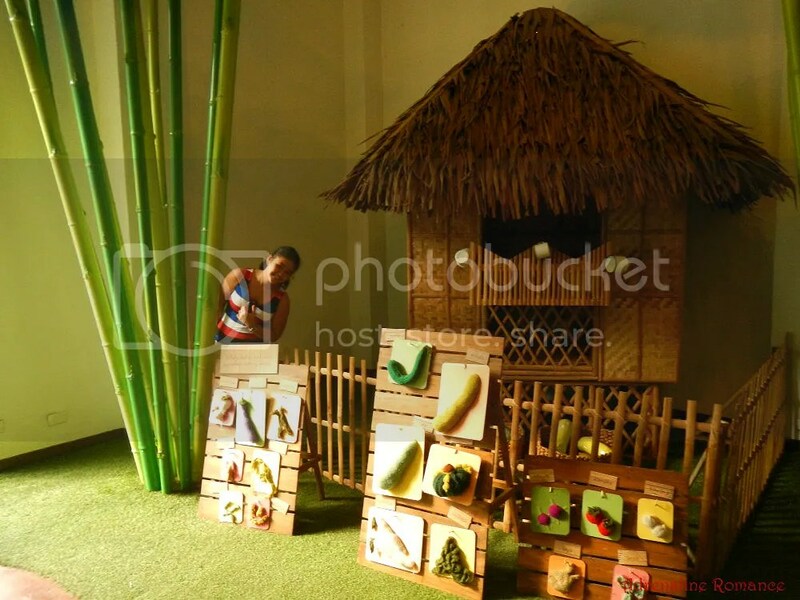 The exhibit features a scaled-down bahay kubo, or nipa hut, a type of stilt house that is common in the mountains, farmlands, and rural areas in the Philippines. Bahay kubos are made of light materials such as bamboo, nipa, and wood. 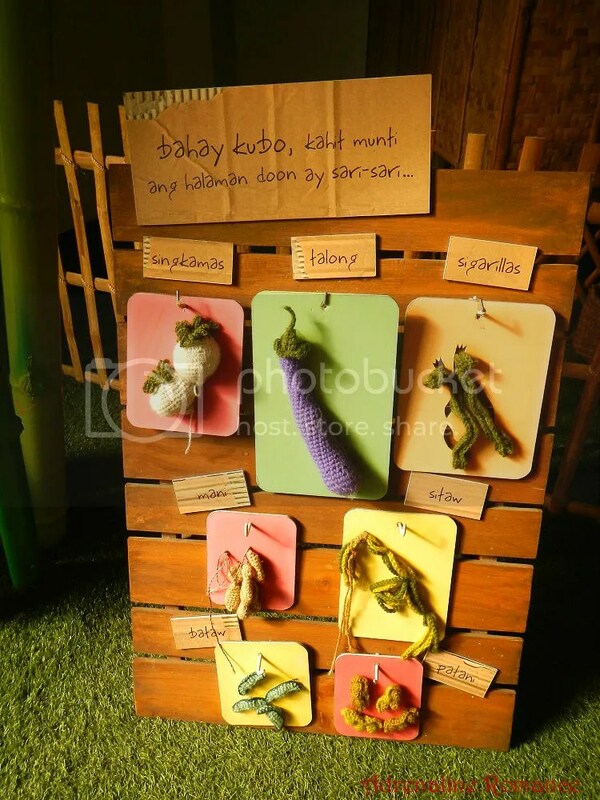 “Singkamas at talong/ sigarilyas at mani/ sitaw, bataw, patani.” The last lines of the mentioned folk song enumerate common vegetables and crops that rural peasants grow in gardens beside their homes. Having such vegetable garden allows a homeowner to have a somewhat ready supply of ingredients to be harvested and prepared for a meal. And no, the photo below does not show the real vegetables. These are just knitted, stuffed representations of those vegetables. 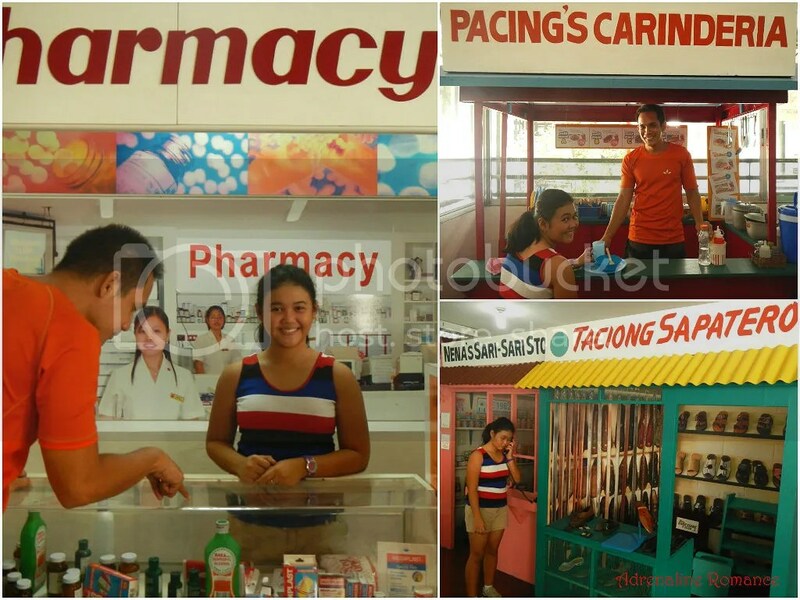 In some rural areas, apothecaries still exist. An apothecary is a historical name for a professional who formulates, creates, and provides medicines to doctors and patients. An apothecary usually sells his formulas, medications as well as raw ingredients in his own retail shop called a botika. This is synonymous to the modern pharmacy. It is important to note that an apothecary is not a witch doctor. An apothecary uses herbs, plants, and other natural materials with healing properties to create his medicines. On the other hand, a witch doctor uses rituals, incantations, and non-medical, non-proven means of treatment. These are just a few of the many, many herbs rural folks use to treat ailments and minor injuries. All of them have healing properties of some sort. 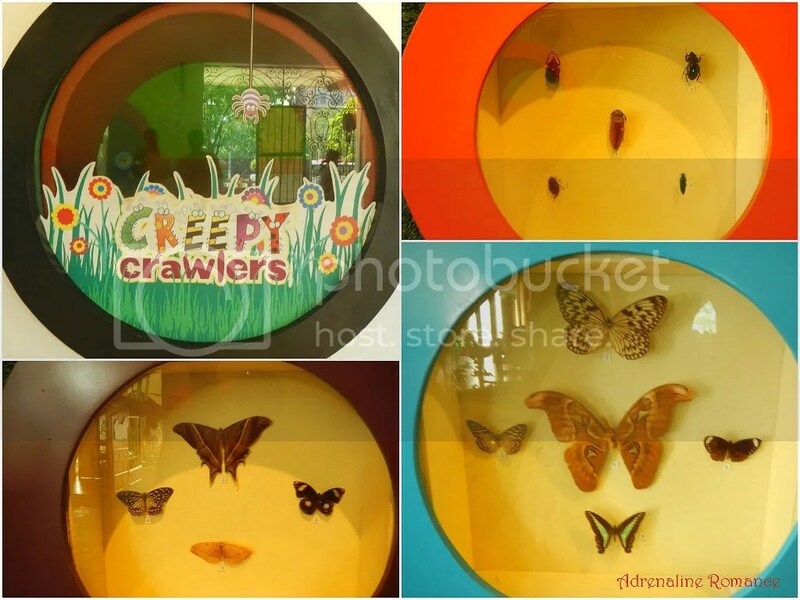 After exploring the Kalikasan exhibit, we went to another one called Creepy Crawlers. As you guessed it, this area displays spiders, insects, worms, and other organisms that make your skin itch and crawl. Of course, none are alive; all are either dead or just sculptures. 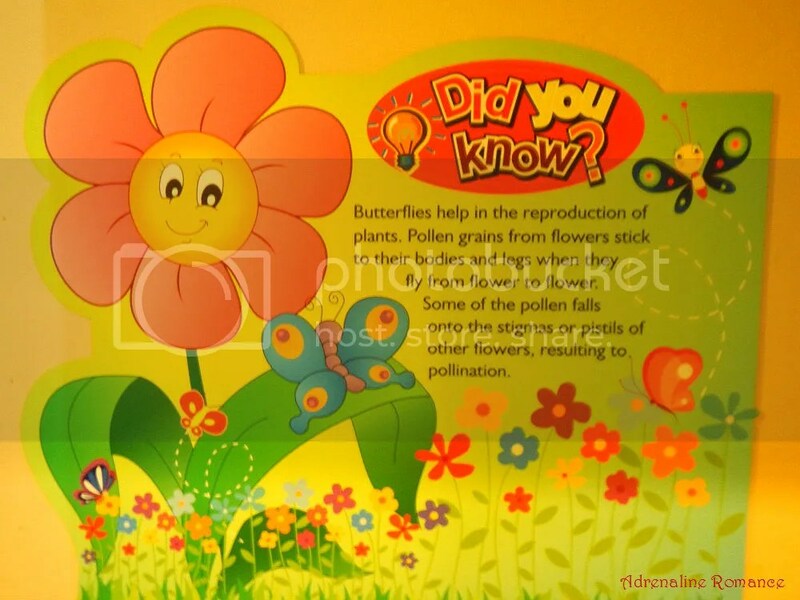 Colorful wall boards like these provide useful information regarding insects. These creepy crawlers should not be viewed as pests or organisms that are out to cause inconvenience and danger. Instead, we should view them as an integral part of our ecosystem. Watch out for that monster spider! No, that’s just a sculpture. But if there exists a real spider as big as that, we’ll probably die of sheer terror! 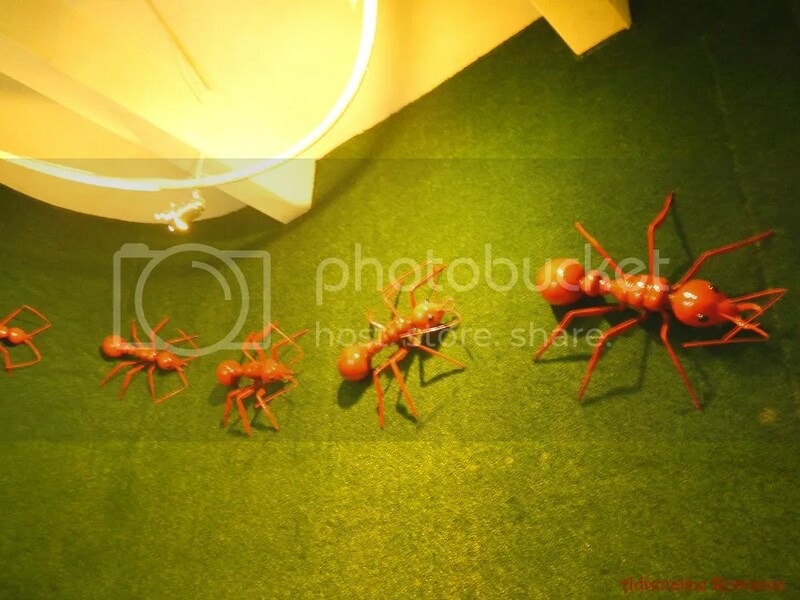 And there are colossal red ants marching down the museum’s walls too! Hehe, don’t worry. They’re just made of plastic and fiberglass. 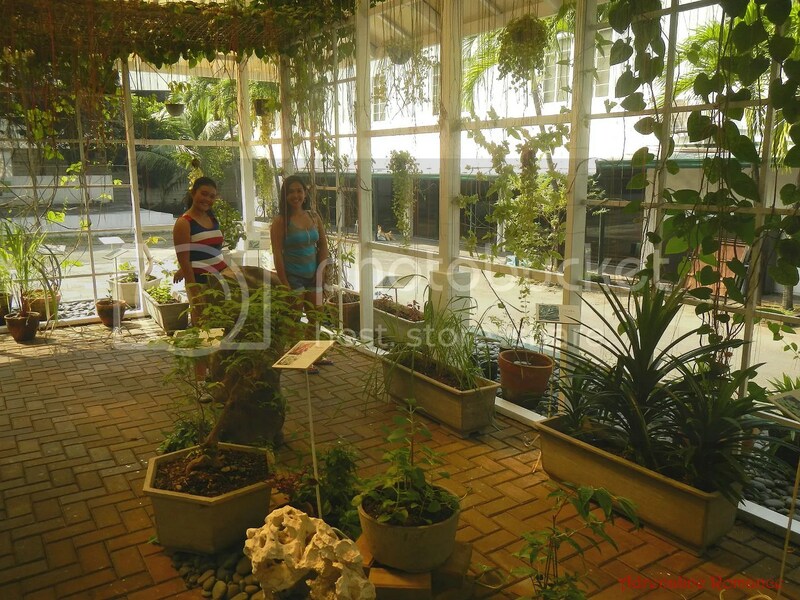 We went outside to see the museum’s herbal garden. 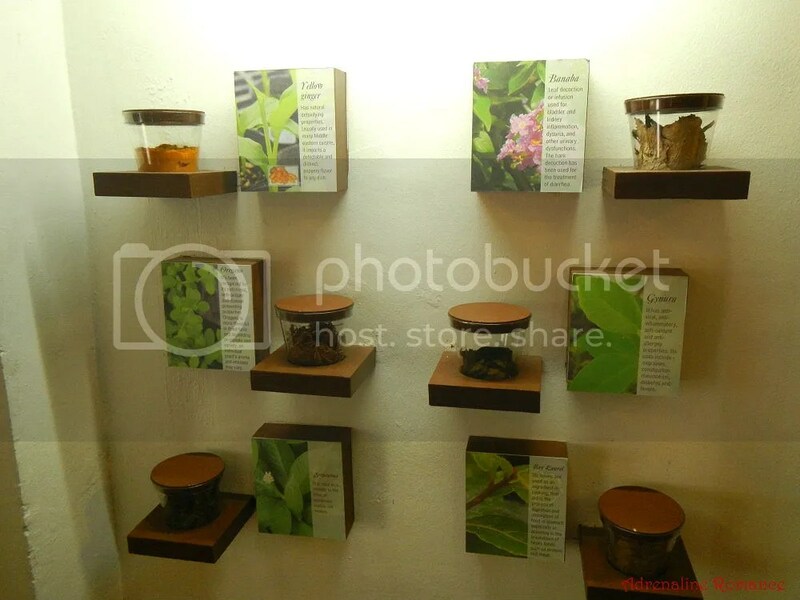 This exhibit, as its name implies, displays the different herbs that exist in the Philippines. 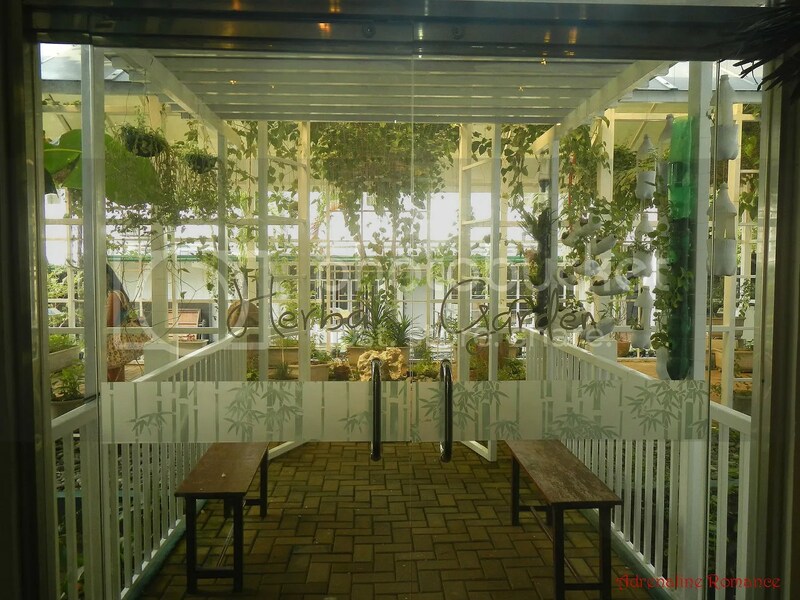 Going around the verdant Herbal Garden made us feel as if we went back in time and went around the greenhouse of a large Victorian-era mansion. Also, the herbs filled the air with a pleasant, fragrant scent that was totally the opposite of the suffocating, stinky, polluted air of Manila. 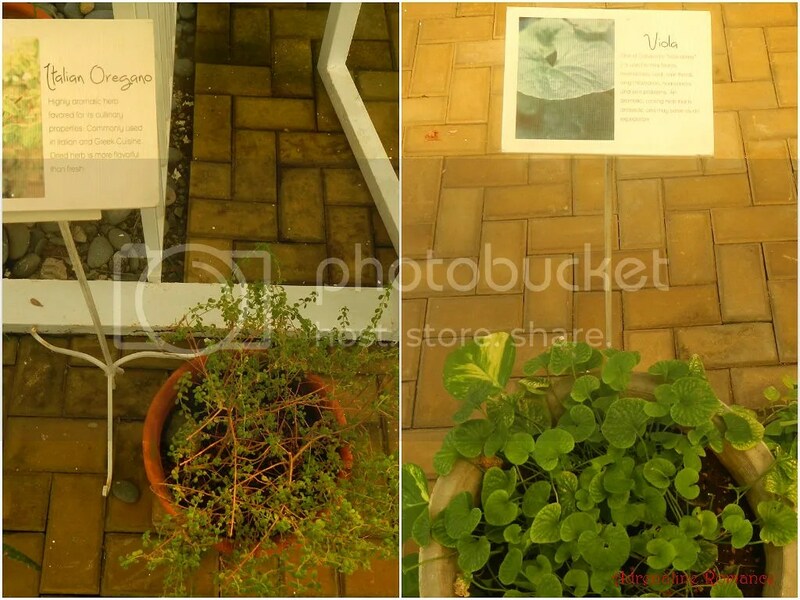 Boards identify the herbs and provide information about their uses, where they are grown, and other information. Recycling things to help lessen the senseless and irresponsible harvest of Mother Nature’s resources is one of Museo Pambata’s advocacies. 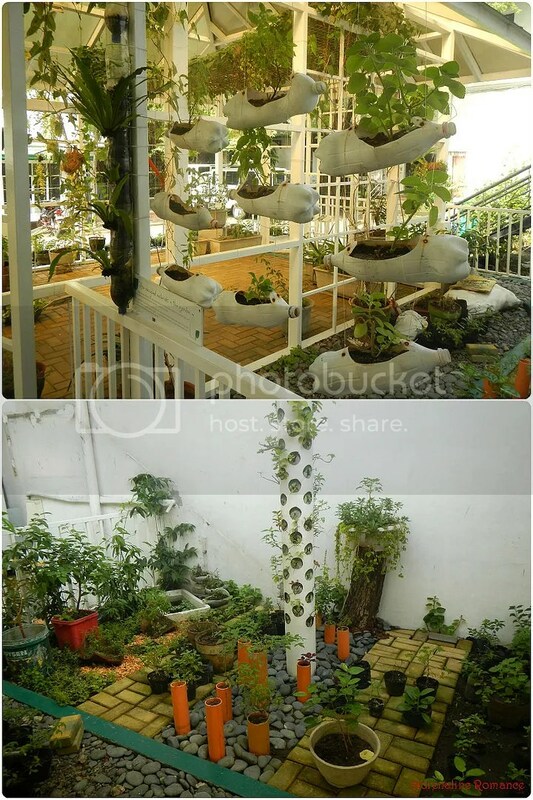 Check out the herbs; they’re grown in empty soda bottles that are cleverly converted to hanging pots. Plastic pipes, trays, and even the remains of a lamppost are used to display the herbs. We went back inside the main building to visit another exhibit that took us a journey back in time, hundreds of years past. 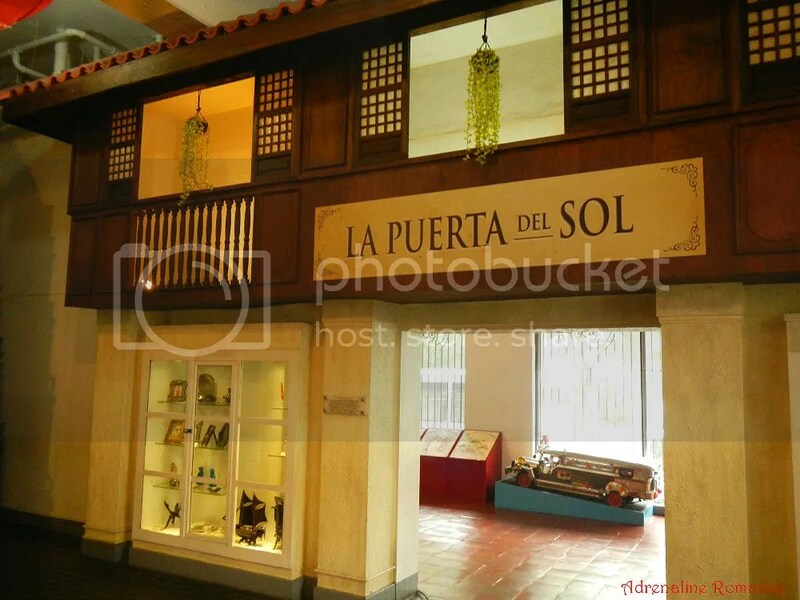 The exhibit features what Manila was like during the early 15th to the mid 19th century. 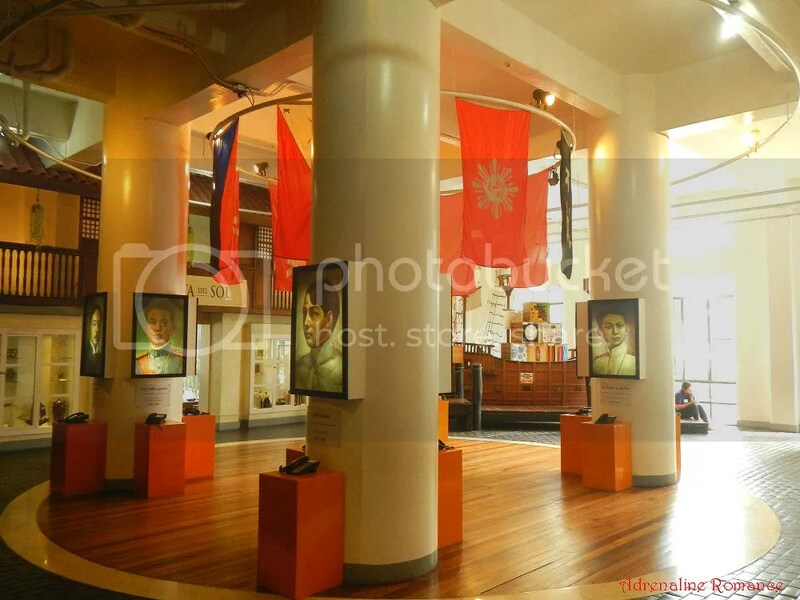 Upon entering, the Old Manila exhibit, we saw large illuminated posters of our national heroes. There was a phone for each poster. We didn’t try it out, but we guess that when activated, one could listen to a recording of who that hero is and what he’s done for the country. Revered heroes can be anyone, not just some brave general, intelligent leader, or brilliant inventor. Ordinary people like these children can be heroes too. 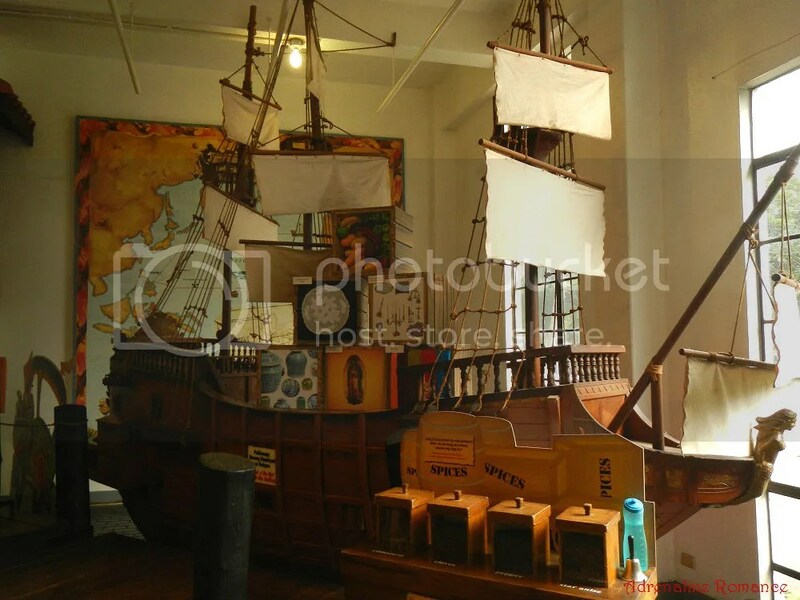 One of the most prominent displays in the exhibit is this beautiful wooden rendition of a Spanish galleon. In the past, galleons were used to transport people and cargo across treacherous oceans. They were the link between Spain, Mexico (a country ruled by Spain at that time), and the Philippines, the link that gave birth to the global trade by ship. Ferdinand Magellan found the Philippines by accident; his original destination was the archipelago of Maluku, or what was once known as Spice Islands by the Chinese and Europeans. 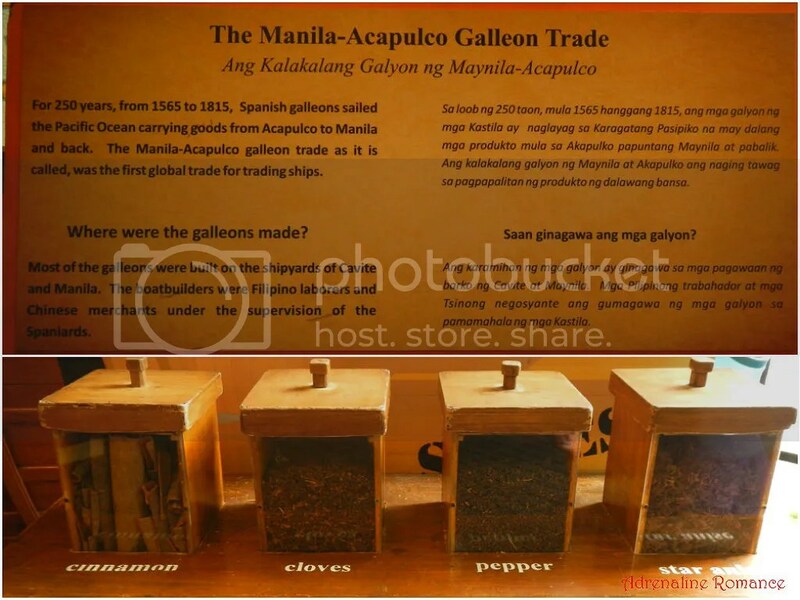 Through this discovery, the Philippines became a very port-of-call, later becoming a major waypoint and supplier of more spices, for the Galleon Trade. The exhibit shows some of the spices that were once shipped to other countries. During the Galleon Trade, spices were even more valuable than gold. 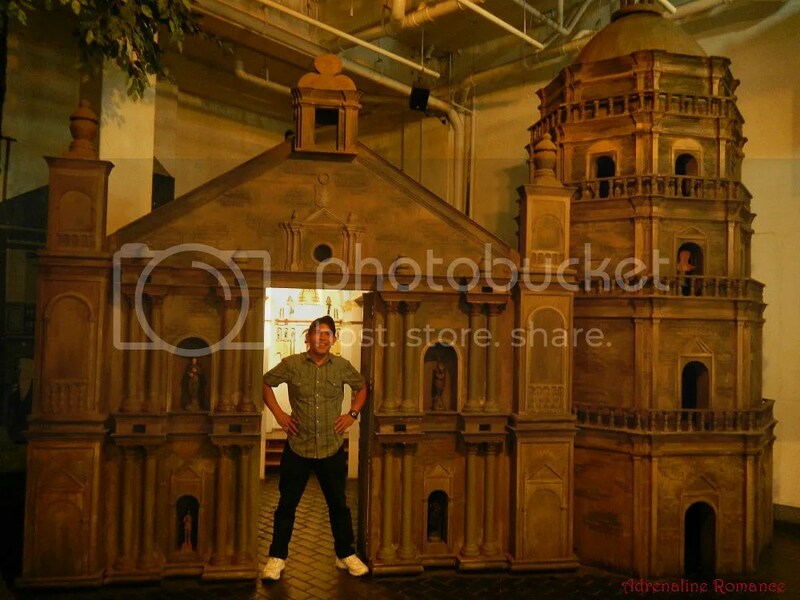 Another highlight of the Old Manila exhibit is this huge replica of a Spanish-era cathedral. By the looks of it, this is a replica of the exalted Minor Basilica of the Black Nazarene, popularly known as the Quiapo Church. As a result of massive Spanish cultural influence, the Philippines is known as the most predominantly Catholic country in Asia. In fact, 90 percent of Filipino worshipers are Catholic. 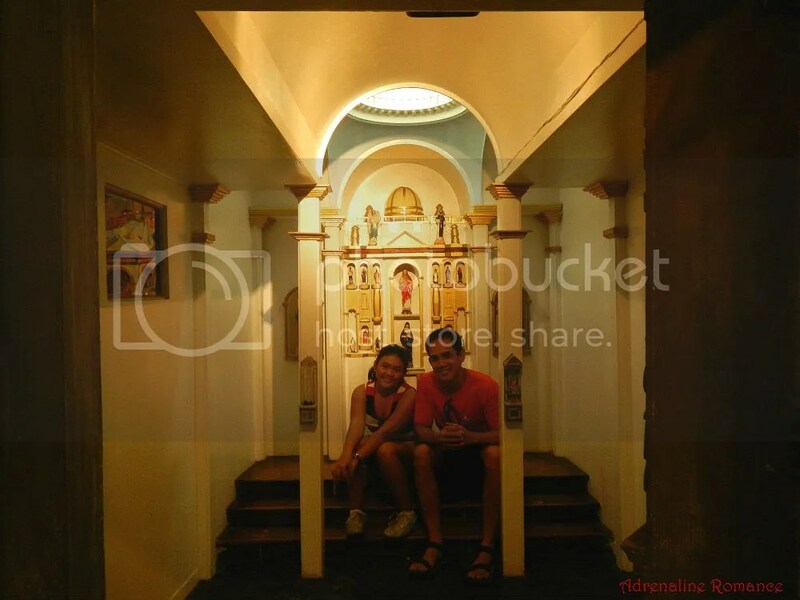 The interior of the Quiapo Church replica features a beautifully rendered altar that displays various religious figures that faithful Roman Catholic Filipinos worship. Yet another highlight of the exhibit is this wooden tram. 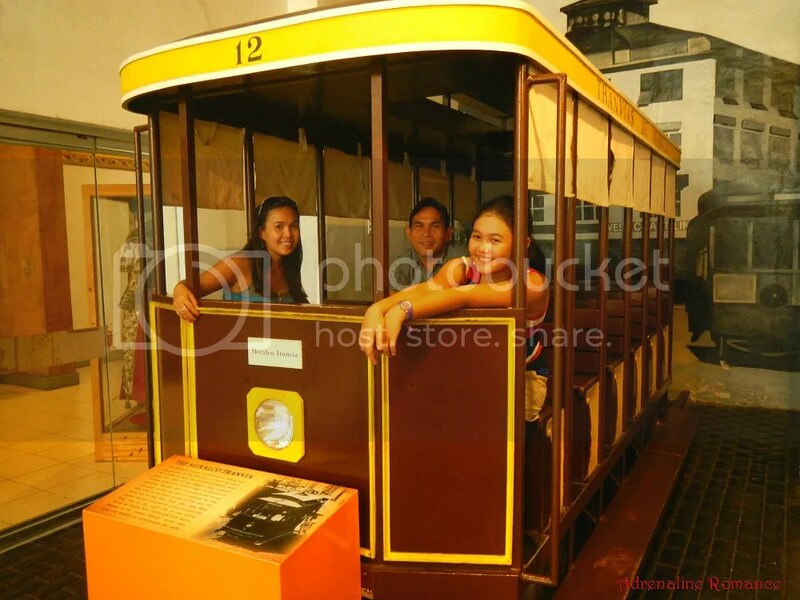 This is a replica of one of Meralco’s Tranvia, the country’s first electric railway that started operating in 1905. 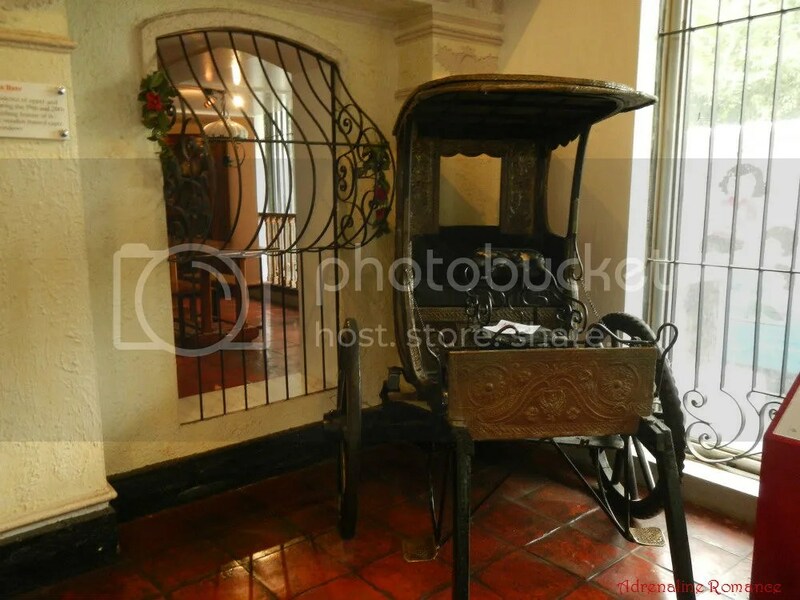 According to the information board in front of the replica, during its operation, residents were given nightly free rides from Jardinero to Intramuros. The fare then was 10 centavos for second-class seats at the rear and 12 for first class seats up front. Accommodating the Tranvia’s tracks required roads where the tracks were fixed to be widened and paved. 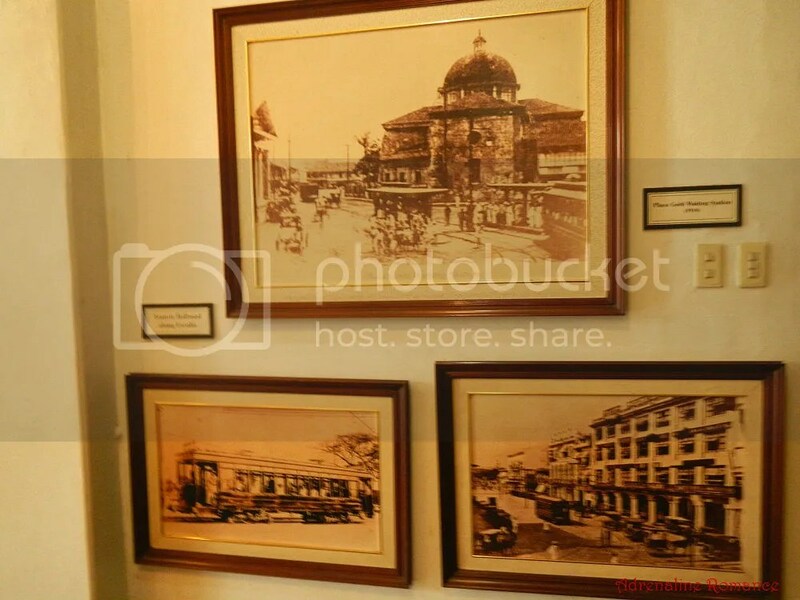 Photos of Old Manila bring nostalgia to grandpas and grandmas visiting Museo Pambata. For us belonging in the younger generation, the photos give us a glimpse of what Old Manila looked like. Manila is known for its intense shopping atmosphere. You can feel it everywhere. Every day, floods of people visit massive shopping malls, brightly lit department stores, exclusive specialty shops, noisy open markets, and lively tianges. The city’s shopping fever may have started sometime during the 19th century with the emergence of La Puerta del Sol, the country’s first and only department store during that time. The façade of the exhibit may be a faithful representation of what La Puerta del Sol looked like. Some items on display are actual carefully preserved products sold in the department store. 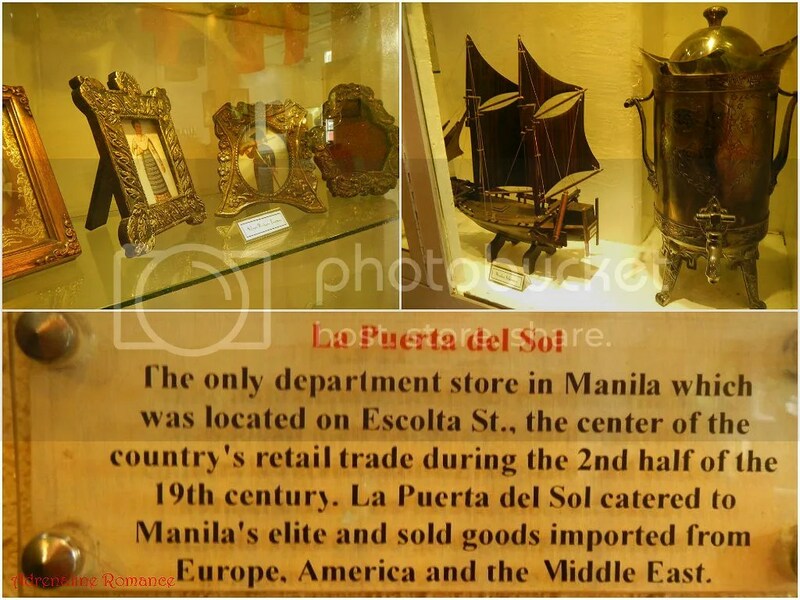 As seen on the information board, La Puerta del Sol sold imported items to Manila’s wealthy citizens. There is no replica of what the interior of the La Puerta del Sol façade must have looked like. 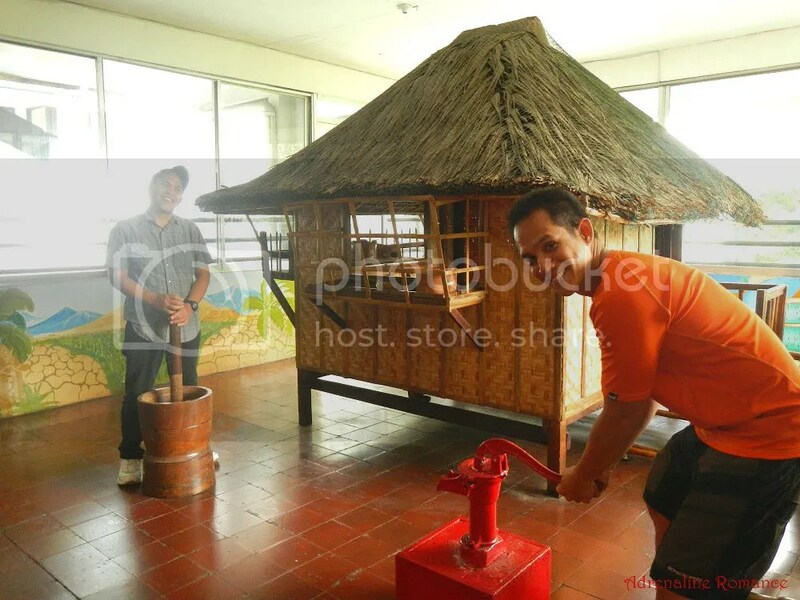 Instead, the Museo Pambata built a replica of a classic bahay na bato (house of stone). The bahay na bato is a typical residence of the upper and middle-class families during the 19th and 20th centuries. The second floor of the house, which served as a warm living space, sat on the first floor, which is made of strong foundation of coral stone blocks. The first floor acted as a garage, stockroom, or workplace. One of the most iconic features of the bahay na bato is its wood-framed sliding windows that are adorned with translucent capiz shells. An open-air, horse-drawn coach (locally known as a tartanilla) served as the household transport in going around places. Tartanillas were once used for both private and public transportation before the advent of the faster and more convenient automobiles. 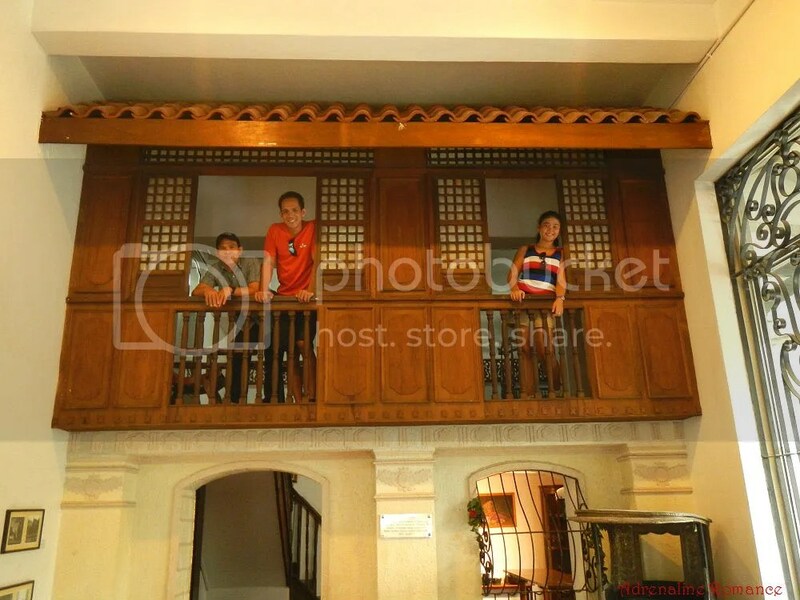 We went up the bahay na bato replica and entered what it seemed like a bedroom with an intricately designed crib and a nice table set. There was also a very well-preserved Maria Clara gown on display; this iconic gown is the Philippine’s national costume for women. But in reality, it was worn only by women in the upper and middle-class families. 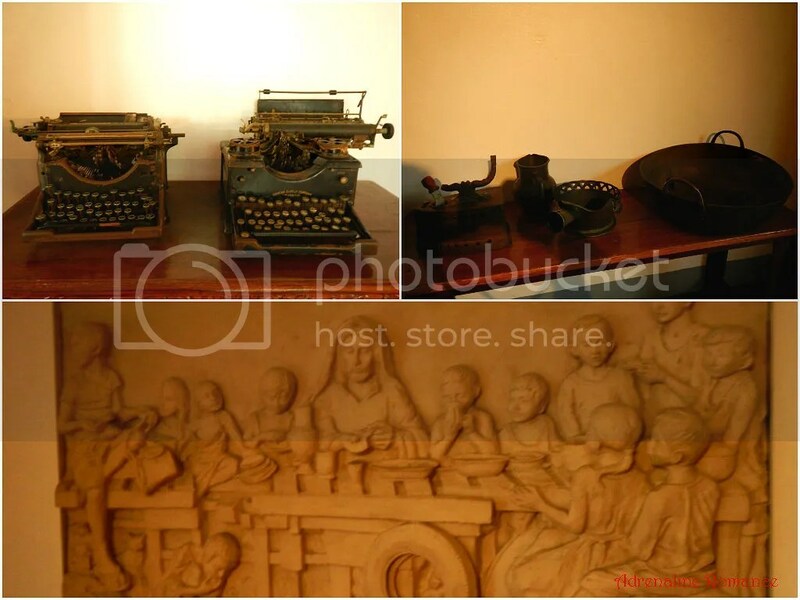 Some old and well-preserved household items and decorations are placed on display in the bahay na bato. It was time to move to the second floor of the museum. Along the way, we found expertly done paintings made by some of the Philippines’ best artists. 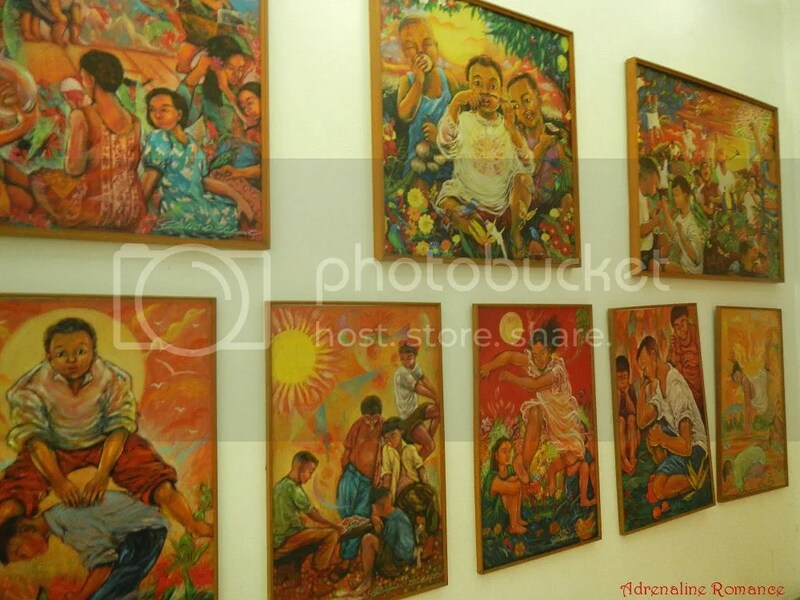 Most of the paintings depict everyday activities of the Filipino child. A young booklover’s favorite place! 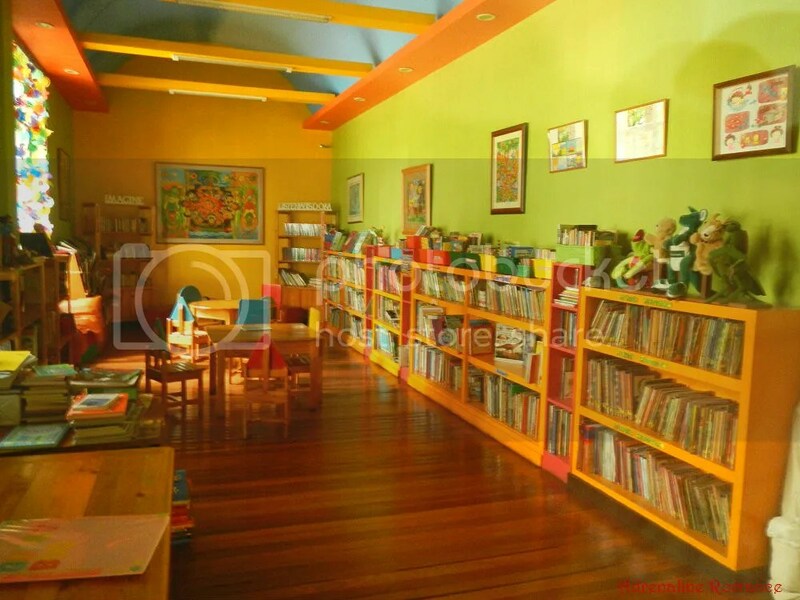 The second floor of the museum has a lovely, colorful library filled with interesting books. Unfortunately, it was still closed when we got there; we took this shot through the library’s glass door. Seeing the kiddie library was like being injected with a needle of nostalgia. We remember visiting the school library during recess and after class to read and borrow books. In fact, our filled-up library cards were our badges of pride. We feel bad that many of today’s children rarely visit libraries. During our time, we visited libraries voluntarily and remain there for hours because of the sheer joy, excitement, and interest of learning new things. Today, many children visit libraries only to complete assignments or because their teachers told them to do so. 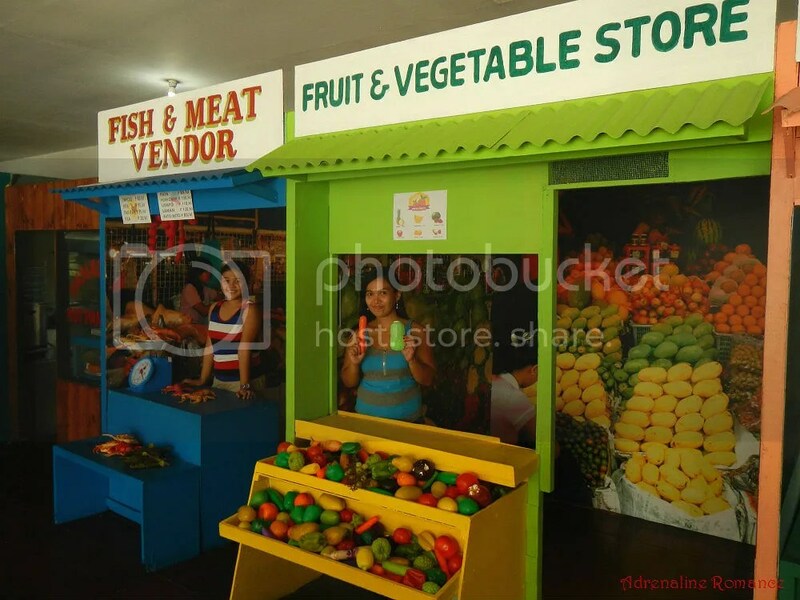 Has your kid ever gone shopping in open-air wet markets with you? No? Well, he or she is not alone. With the proliferation of modern and convenient air-conditioned malls and grocery stores, many kids haven’t actually experienced buying goods the traditional way. Museo Pambata aims to re-integrate children to the concept of traditional shopping and the dynamics of a classic Filipino neighborhood. 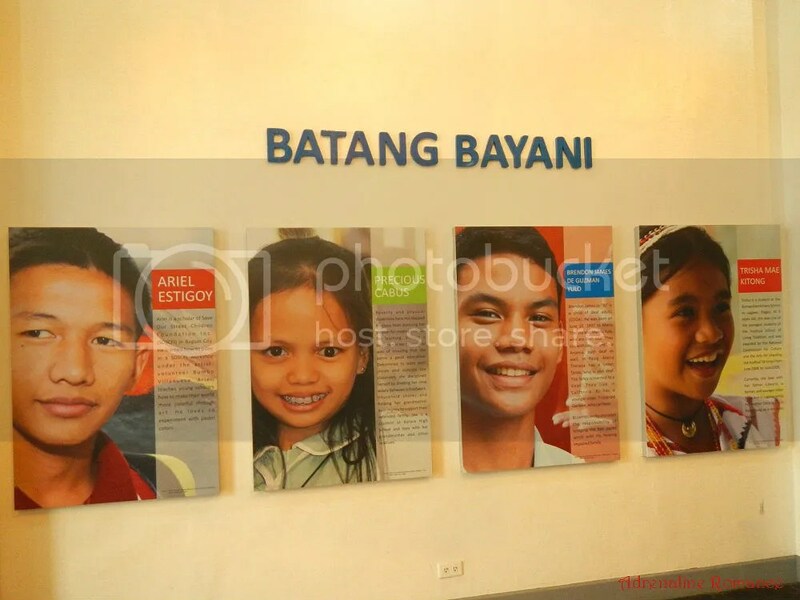 Thus, they created the Pamilihang Bayan exhibit as a simulation of that community. All over the place are small stores that “sell” various goods that are typically found in open-air markets and neighborhood stores. The simulated community is fully interactive. Children can take the role of shopkeepers, which may spark their entrepreneurial interests. No community is ever complete without your friendly fire station, right? 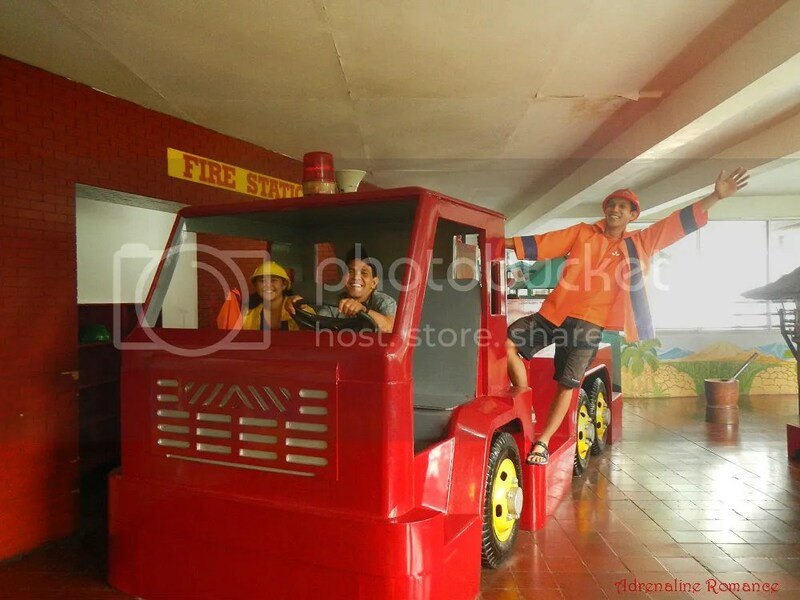 It isn’t every day that we got to ride a fire truck. So we took that golden opportunity here even if the fire truck is just, well, a toy. Playing with the bahay kubo, hand pump, and the traditional grain pounder enable children to experience what it was like to do things during OUR time. This helps them appreciate and never to take for granted the conveniences they are enjoying today. Have you ever seen the movie Innerspace? It tells the story of a man, miniaturized by technology, travelling inside the body of a human. 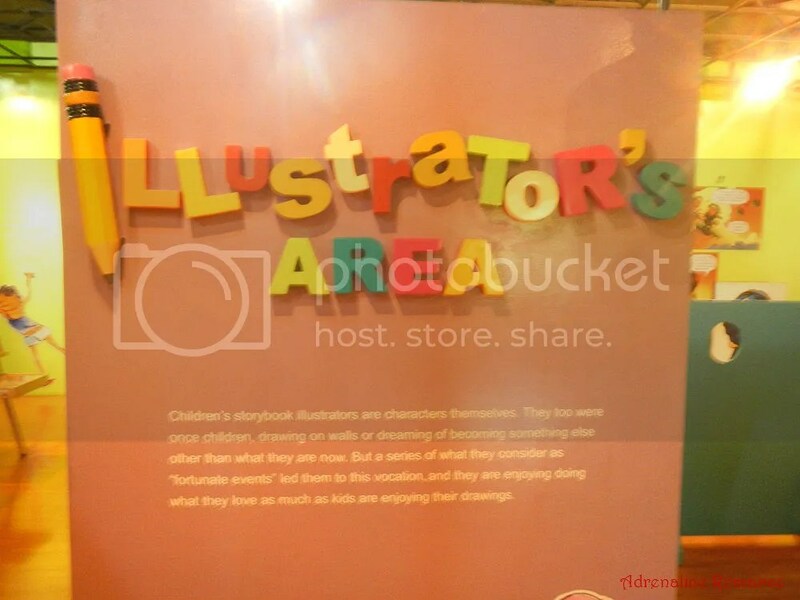 Now, Museo Pambata guests offer the same opportunity for children sans the miniaturization. 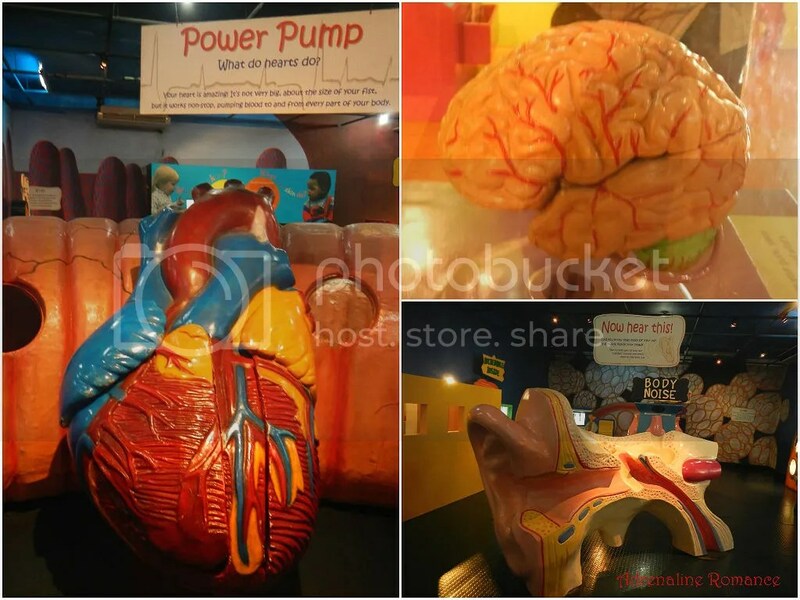 The My Body Works exhibit allows children to discover the human body with the use of a tunnel maze. 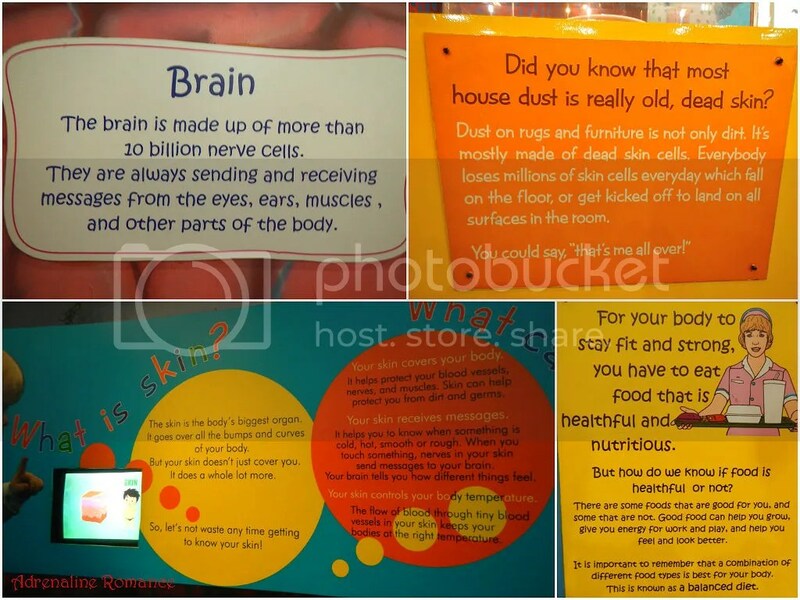 The exhibit aims to explain to children how body organs work and how to keep the body healthy. It all starts in the mouth. 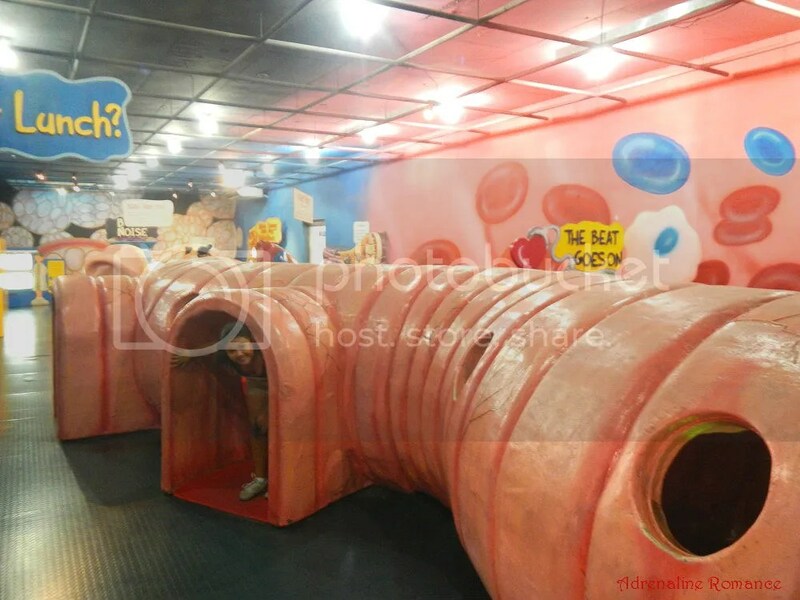 Upon entering the exhibit, guests can see this giant esophagus, which act as a play tunnel for kids. For us, it was a little bit morbid; counting the head outside the exhibit, the entire thing looks like one giant monster out of a Lovecraftian movie. 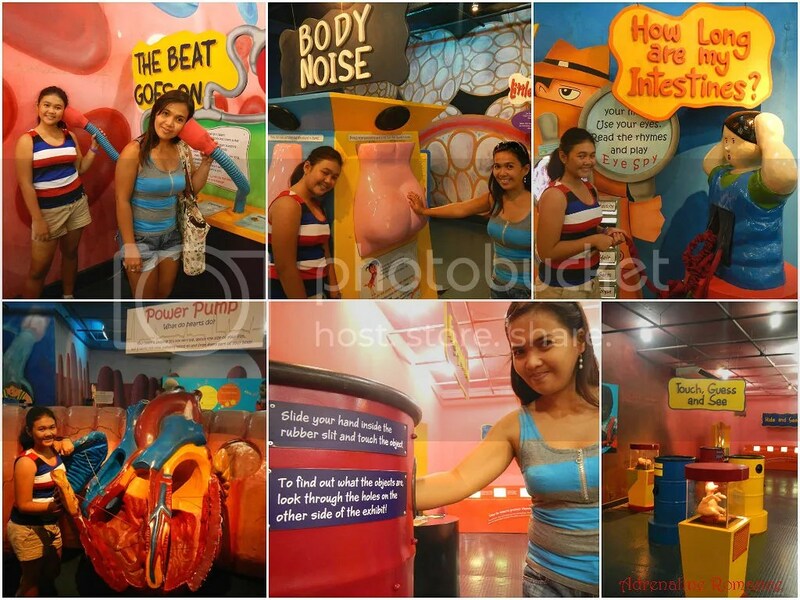 The exhibit features giant models of the human organs, all interactive and have information boards. Did we say interactive? Oh, yes! You can listen to your friend’s heartbeat, discover the sounds that certain body parts make, know how the heart works, feel objects without seeing them, and others. It’s truly a fun place to be! The displays are both for information and fun. For instance, a child can move acetates of the body’s various systems. He can see the actual results of a real X-ray. And, he can be part of a photo collage that shows how he is both different and similar to other children all around the planet. 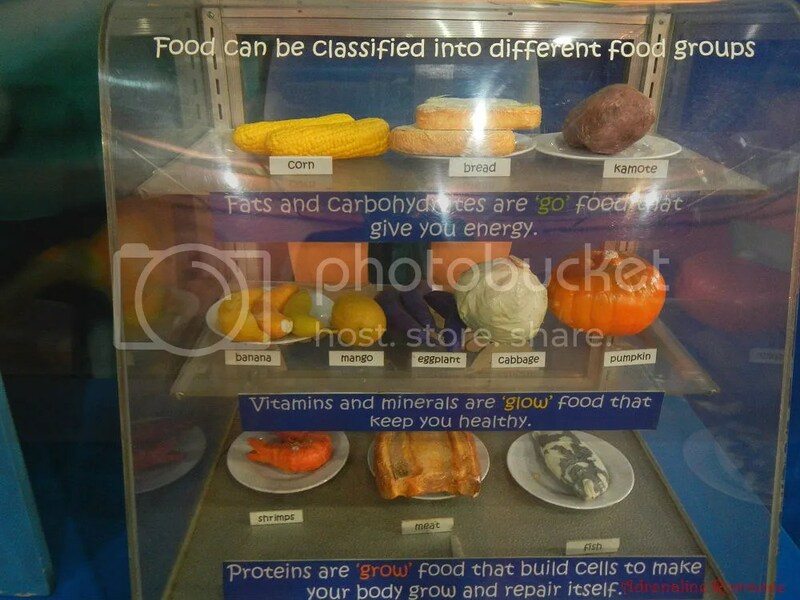 Here are models of the go, grow, and glow foods. This enables children to understand the importance of maintaining a balanced and healthy diet. According to the famous astronomer Carl Sagan in his speech about the Earth photo entitled The Pale Blue Dot, our planet is, at the moment, the only home we’ll ever have. There’s no sign that help will be coming from somewhere else; as of now, we, humans, are responsible for helping one another. Yes, Earth is where we make our stand. That’s why it is essential for children to understand the concept of environmental protection and preservation. 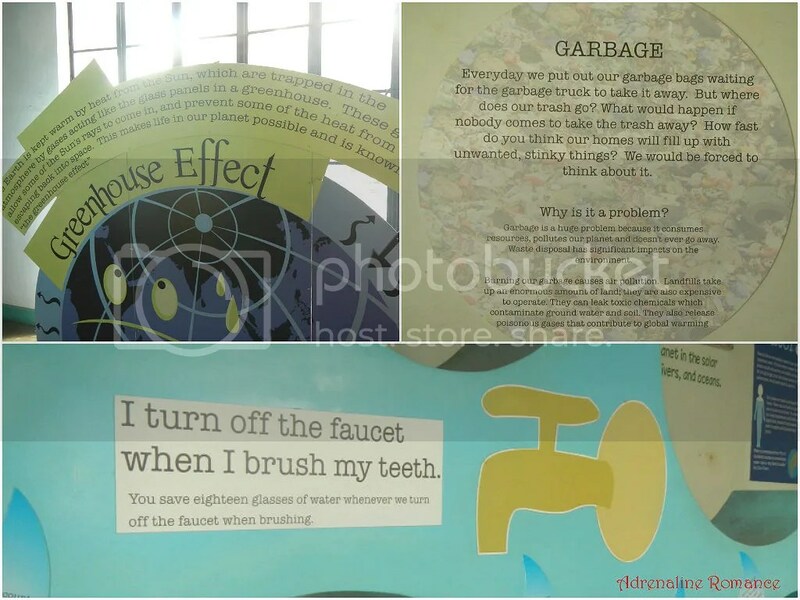 The I Love My Planet Earth exhibit shows children what they can do to save Mother Earth. They can also view exhibits relating to today’s environmental issues. One of the most prominent displays in the exhibit is this model of an off-road vehicle. It shows how automobile emissions pollute the environment. 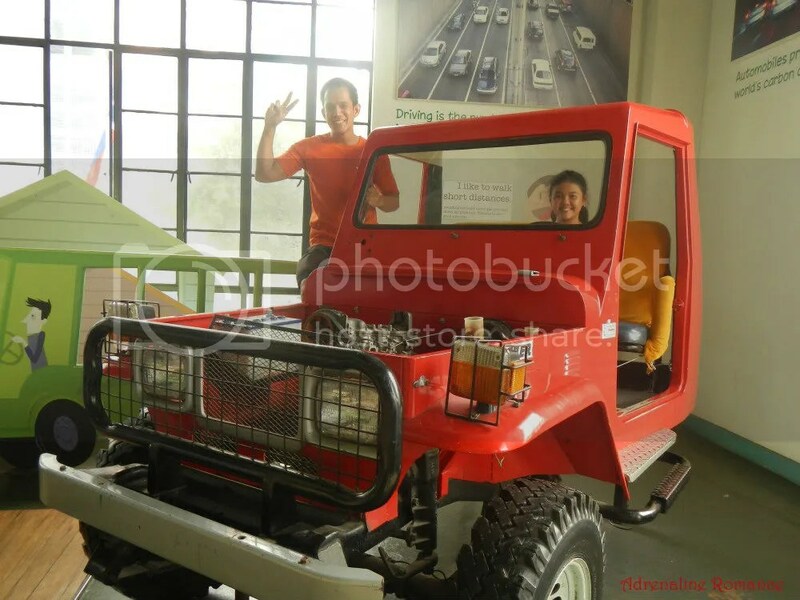 However, the signboards around the off-road vehicle also teach children how to reduce automobile emissions. Many displays show and explain to the museum’s guests the dynamics of global warming, pollution, greenhouse effect, and other environmental issues of today. 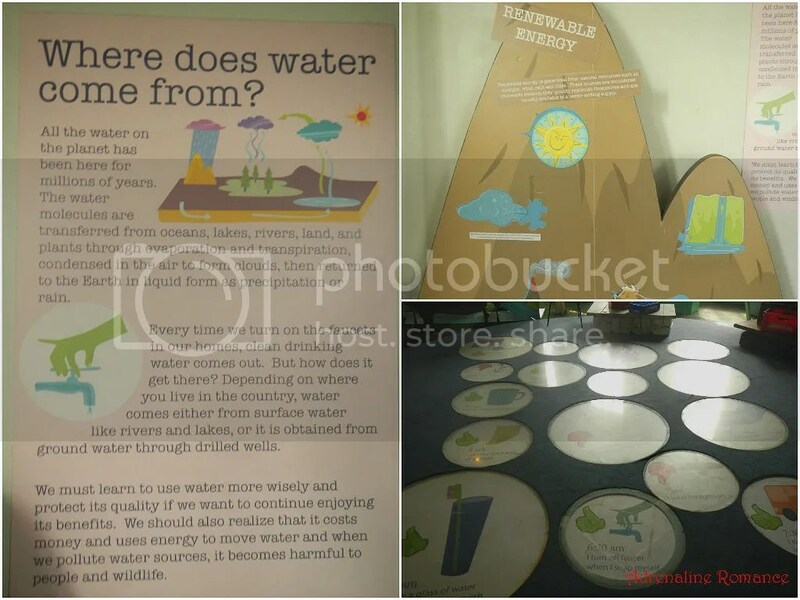 The concept of renewable energy, limited freshwater sources, reducing carbon footprints, and others are thoroughly and clearly explained through interactive displays and child-friendly artworks. 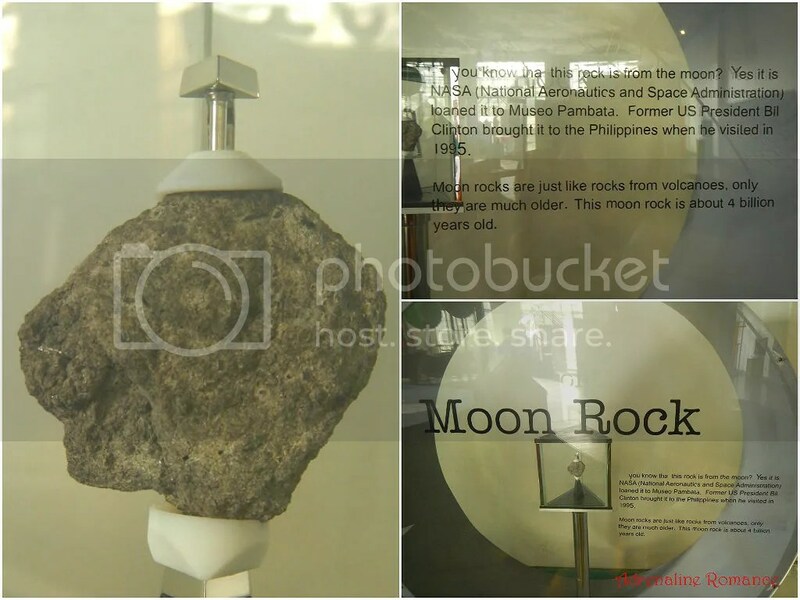 We also came face-to-face with an actual moon rock. Yes, we’re talking about a genuine rock from our nearest celestial neighbor about 356,400 to 406,700 kilometers away from us, depending on its position relative to our planet. This small piece of rock was given to the Philippines by then US President Bill Clinton. What do you want to be when you grow up? A doctor? A pilot? A teacher? For many children who have attuned themselves on their creative streaks, they want to be artists and writers. 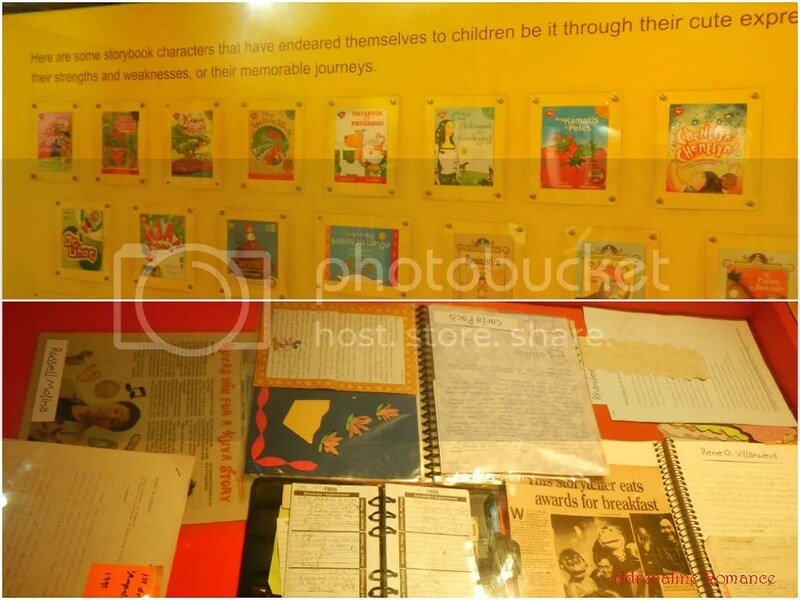 The Career Options exhibit gives children a cool look of the world of art and literature, a glimpse of what they can be if they pursue their interests in creativity. 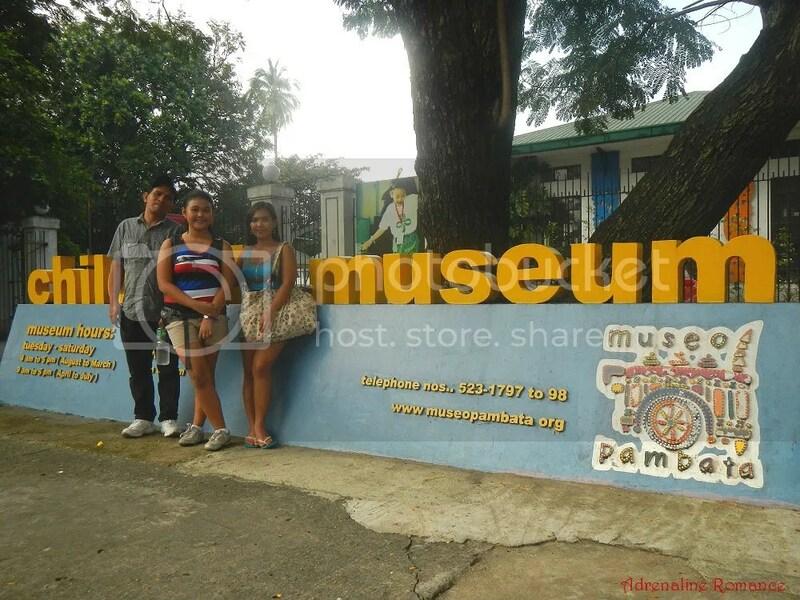 This was the last stop of our Museo Pambata tour. 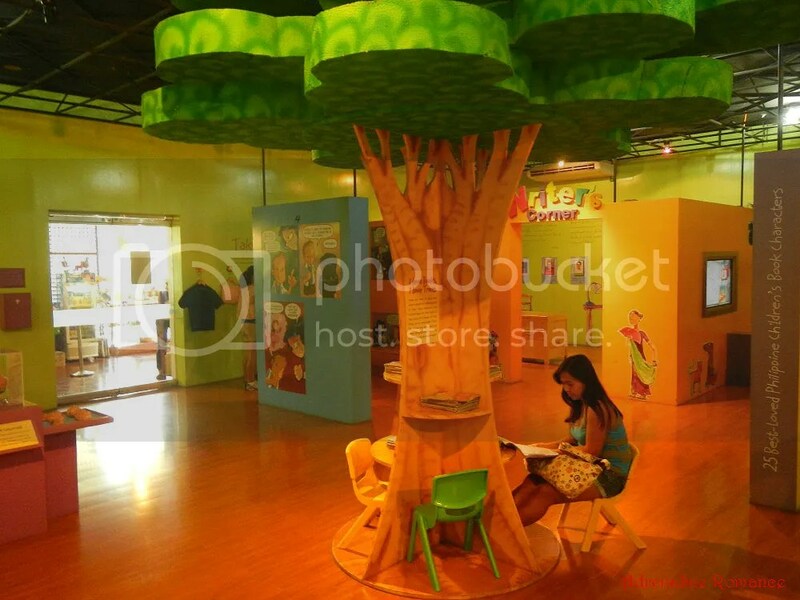 The exhibit features a very nice activity area where children can read, write, draw, and play. 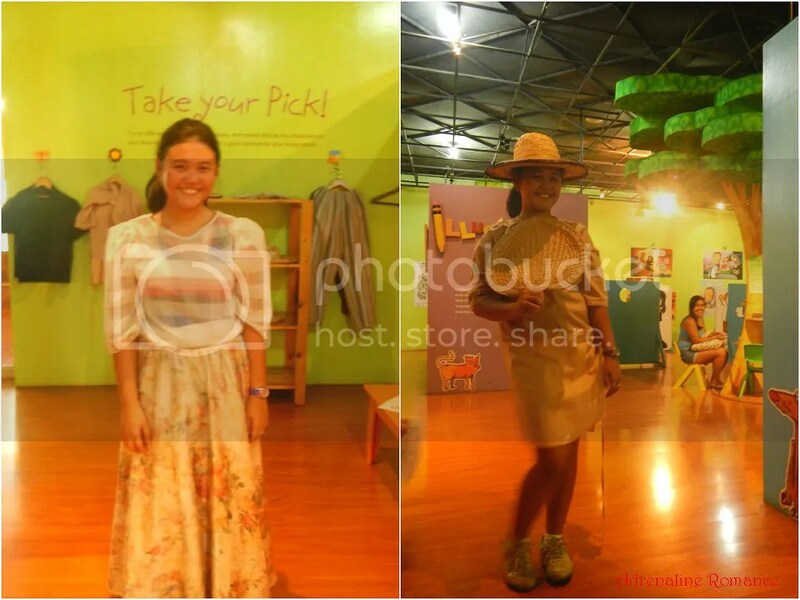 Alexa had fun trying out different costumes in the Career Options exhibit. This is Alexa’s corner. She loves drawing and has become pretty good at it. We’re very supportive of her passion. Many panels inside the exhibit feature very colorful and informative comic pages. 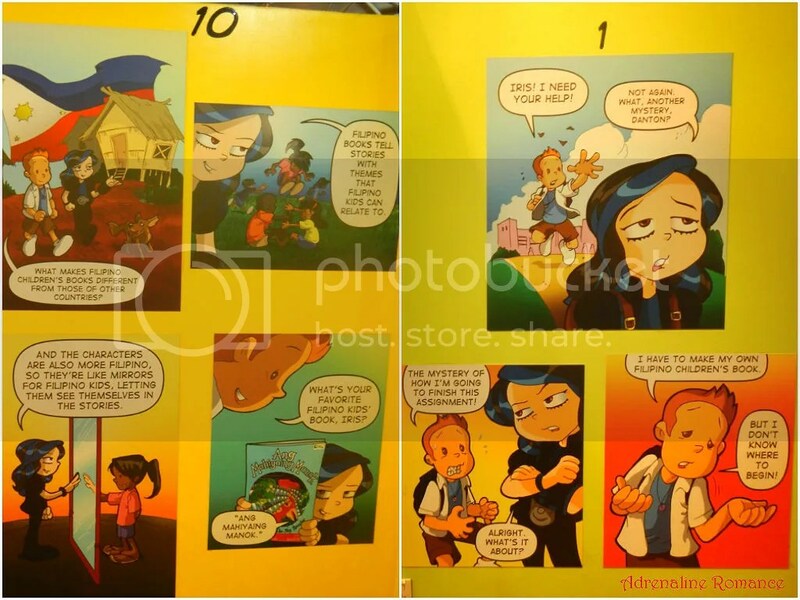 Usually, the comics tell tales regarding the Filipino child’s innate interest of arts and literature and how that interest could be developed. Yes, that’s truly, definitely, surely my corner. 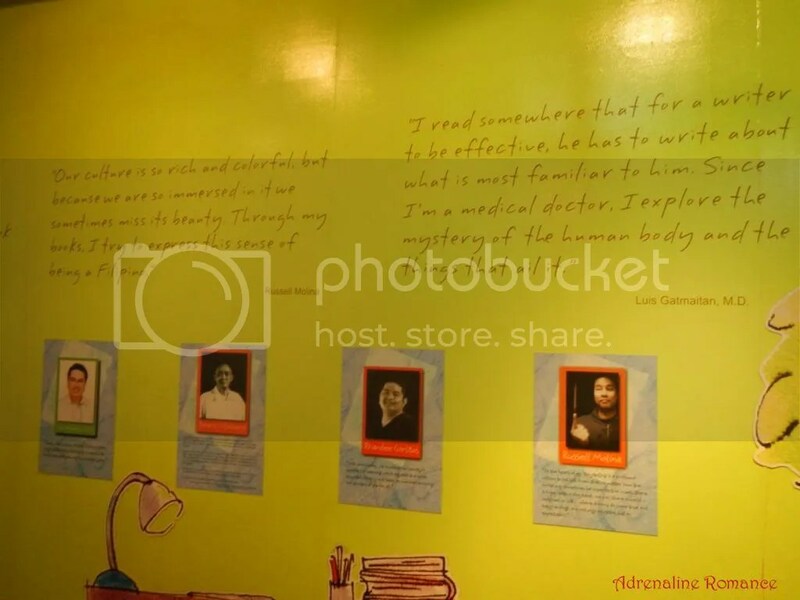 On the walls inside the Writer’s corner are views, opinions, and pointers of various Filipino writers about pursuing a career in writing and literature. 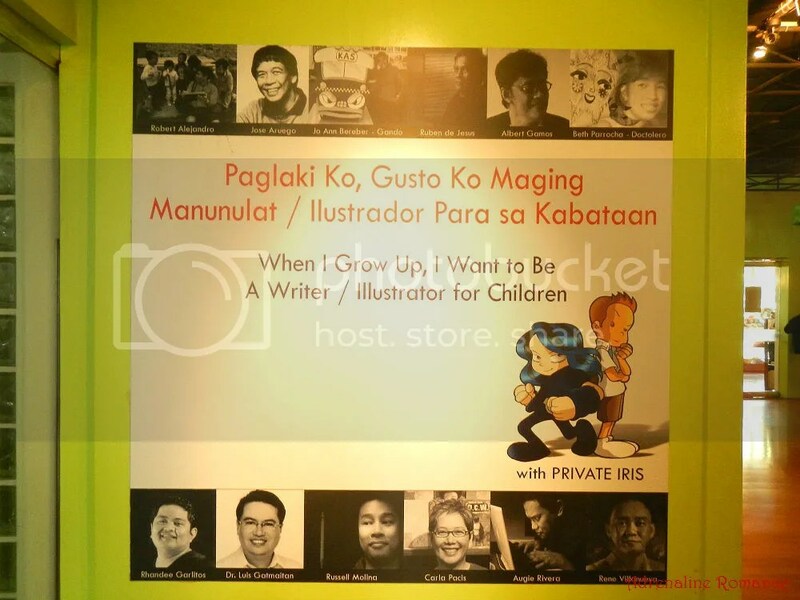 The Writer’s Corner also features covers of children’s books written by Filipino authors as well as their notes, newspaper clippings, and other memorabilia. 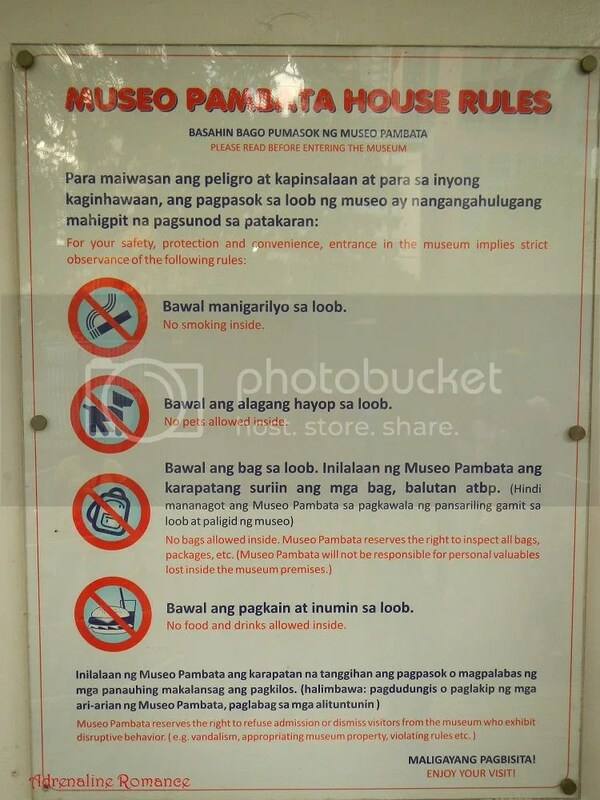 Thank you, Museo Pambata! 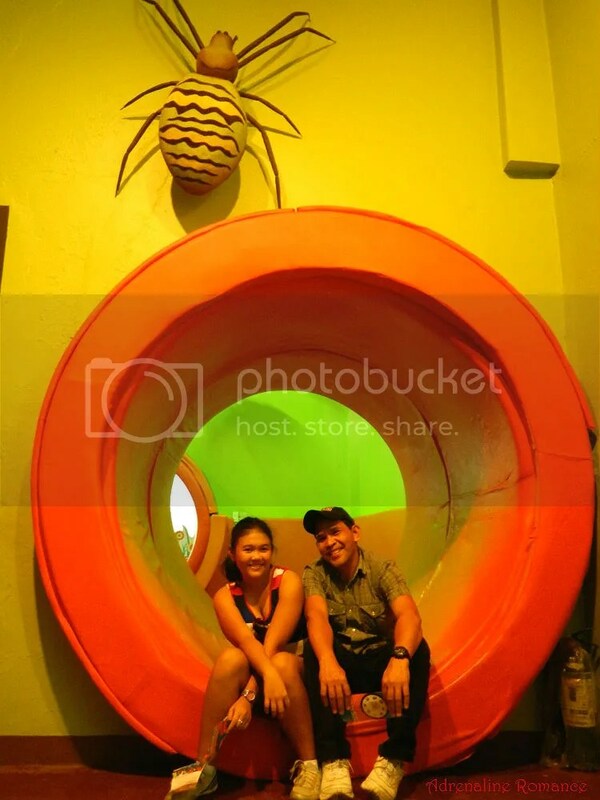 Our 2-hour stay in the interactive museum was truly enjoyable, and we definitely learned a lot. On a final note, our educational system should seriously consider revamping their curriculum to include practical learning. For children (and even adults), Learning is more fun if they are actually able to fully interact with what they need to learn. And we all know that if something is more fun to children, they will most likely take a greater interest in it. 6. For convenience, leave large bags in the reception’s courtesy counter. I think this is my first time meeting Sweetie’s daughter. Such a nice family! Thanks for this post. A hands-on museum is definitely good for the kids. Looks like you had a great, and very full, day. Hehe! Thank you. We’re trying to get her to appreciate the world of traveling and adventure. So far, Alexa’s pretty interested in doing so. 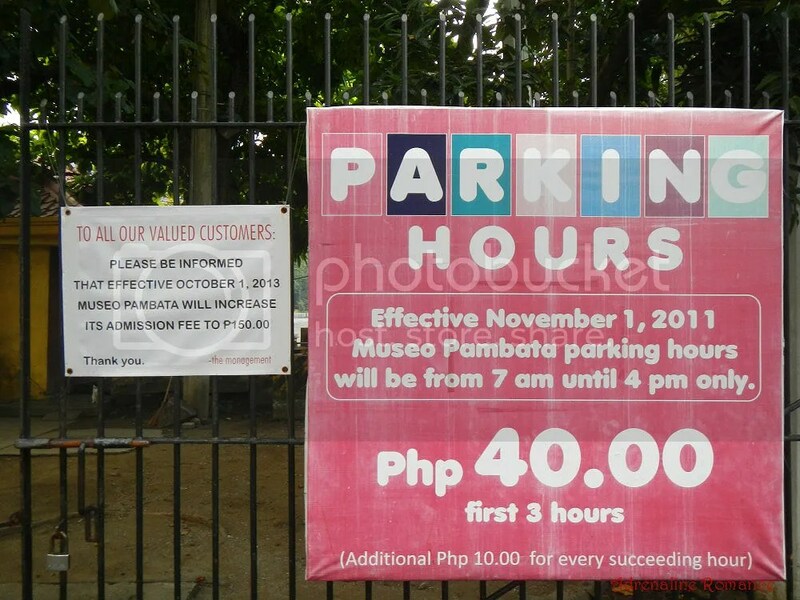 Museo Pambata is a nice, fun, and interactive place, but it’s definitely starting to show its age. Some of the interactive pieces don’t work, and some of the exhibits don’t quite catch the interest of today’s generation of children. The museum definitely needs an upgrade. Good to know that the country has this type of center. This should be a ‘must visit’ for all school children. Hopefully the powers will fix and upgrade this learning center. Glad your family had a fun and enjoyable day. Happy New Year, and thank you for taking the time to read this post. We agree with you that this should be a “must visit” for school children. When we got there, there was a bunch of schoolkids on a field trip. 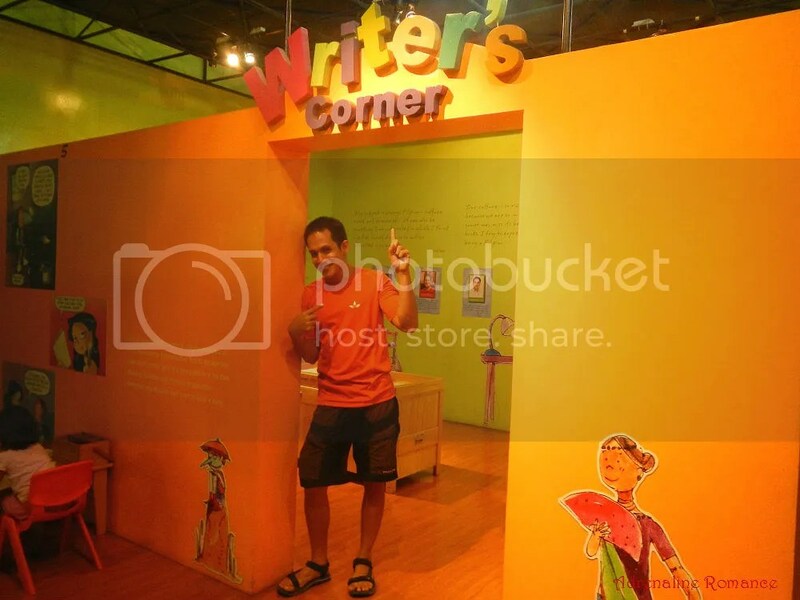 Actually, there are other interactive learning centers, museums, and parks, especially in Manila (we will be writing about Manila Ocean Park after a couple of wall climbing posts). But that’s about it; they’re in Manila. We need more of these outside Manila. Thanks for taking the time to comment on our blog. 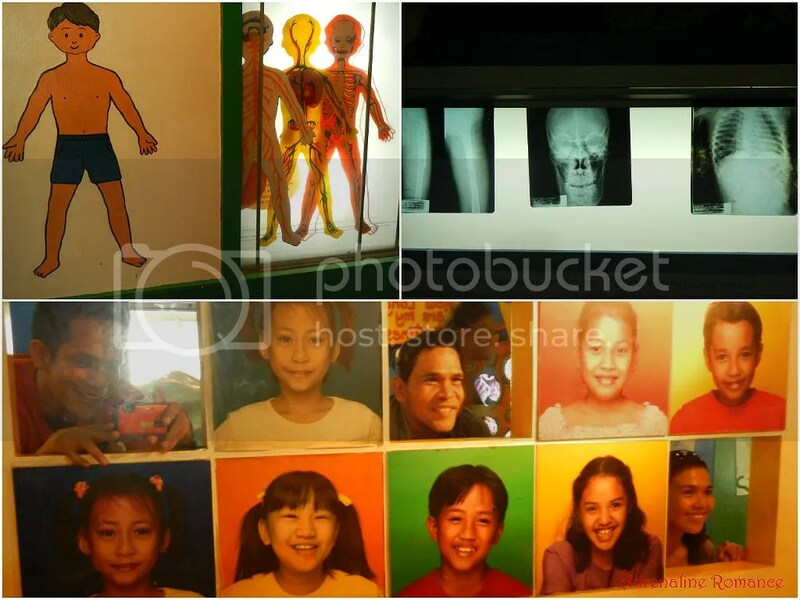 Yes, Museo Pambata is a fun, interactive place. However, we do hope they will upgrade their exhibits. Do they have an exhibit where you can try and wear old clothes? Yes, they do; in fact, several exhibits feature different outfits. But the clothes only fit children. Hi Stephanie! We are not privy to their problems, if there are indeed. However, we would assume that the exhibits there are quite antiquated. It would be good if they modernize a bit.